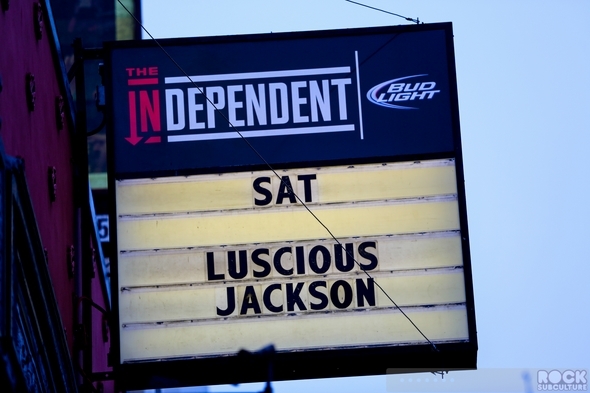 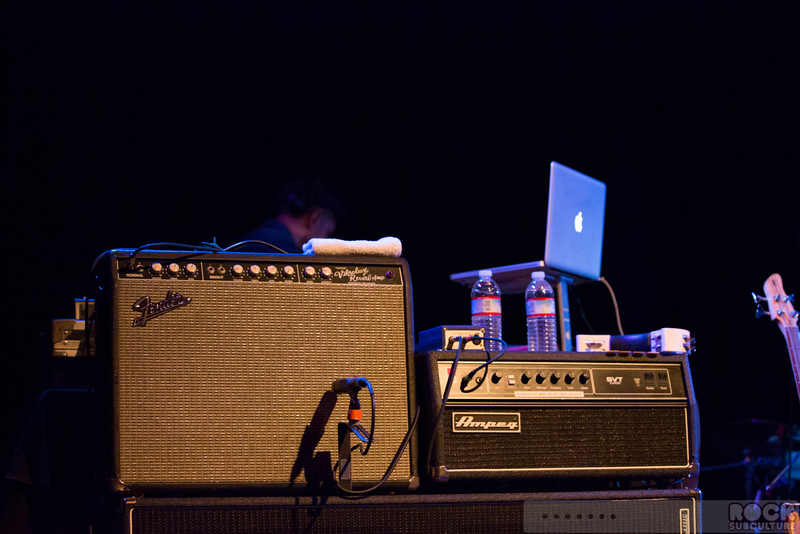 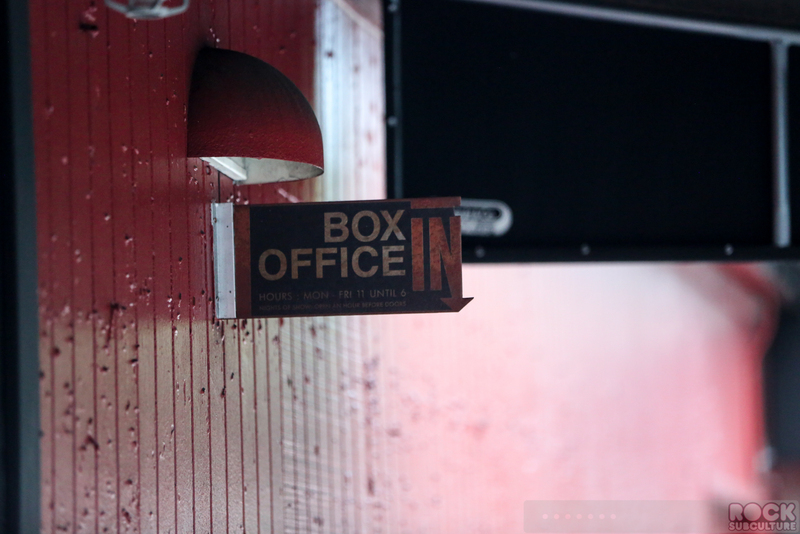 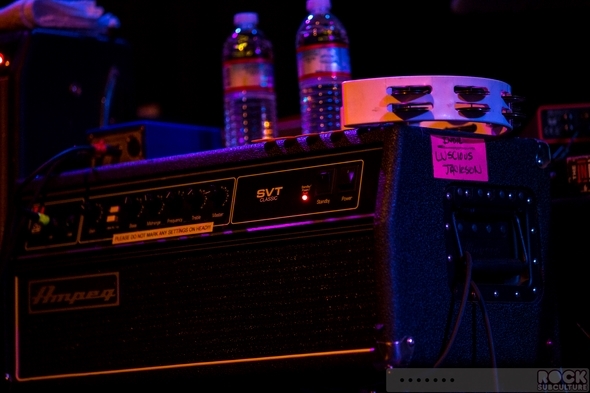 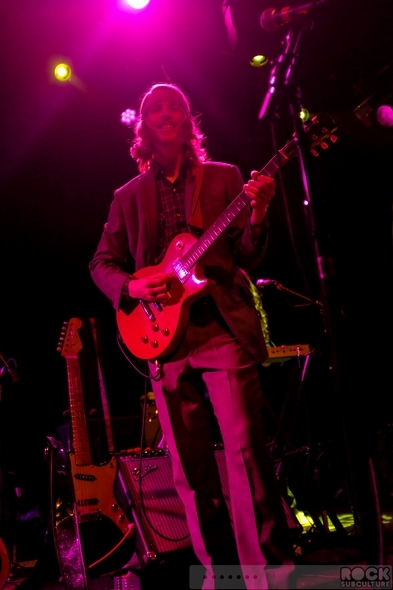 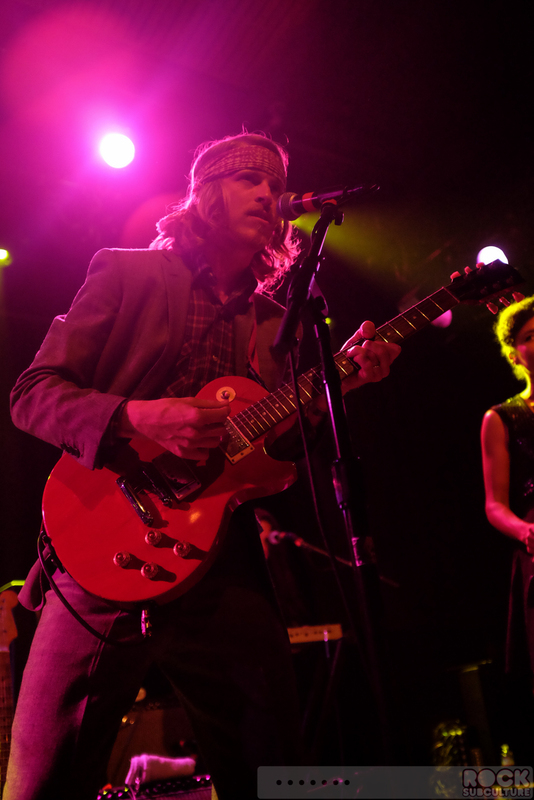 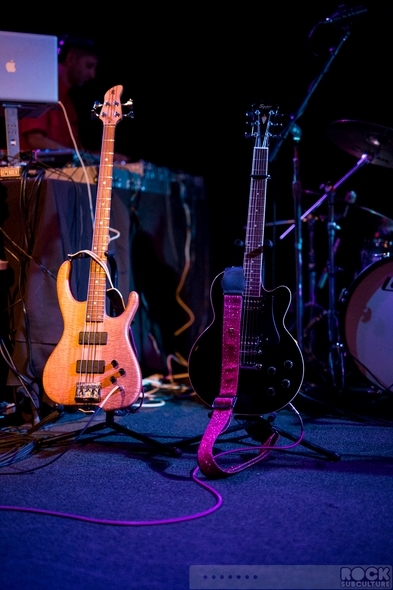 The Independent in San Francisco hosted last night’s concert, and unlike a lot of shows at the 21+ venue, there was a very healthy line up in front prior to the 8:30 doors. 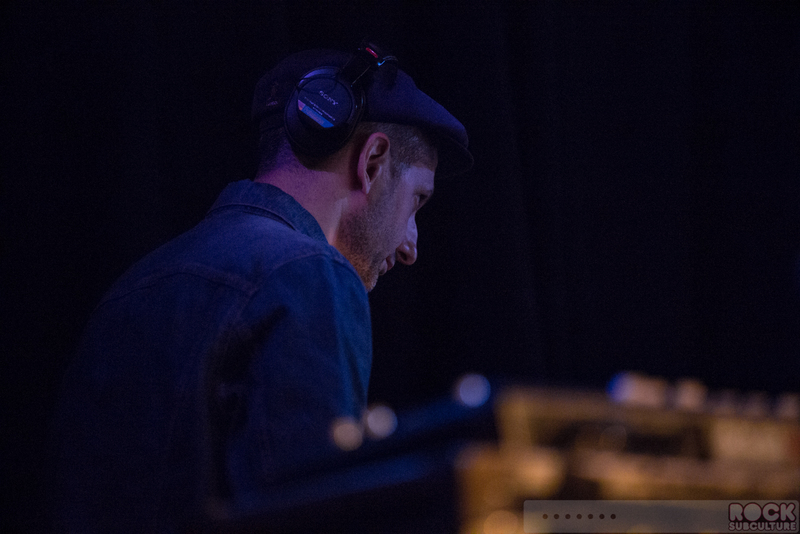 ADW Young opened the show last night with a DJ set, which was going prior to doors and ran until a bit past 10:00 PM when the rest of the band took the stage. 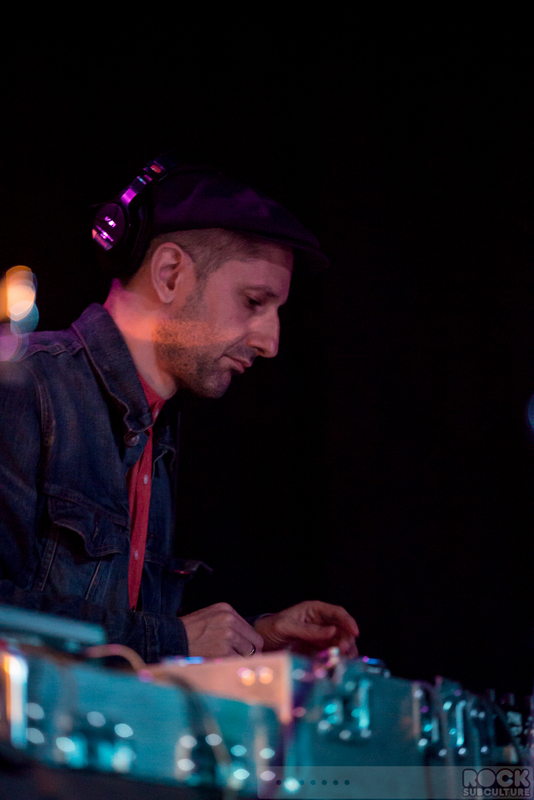 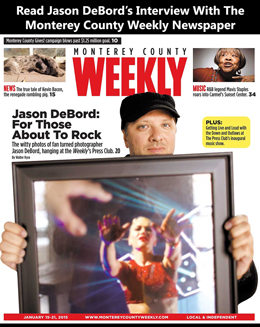 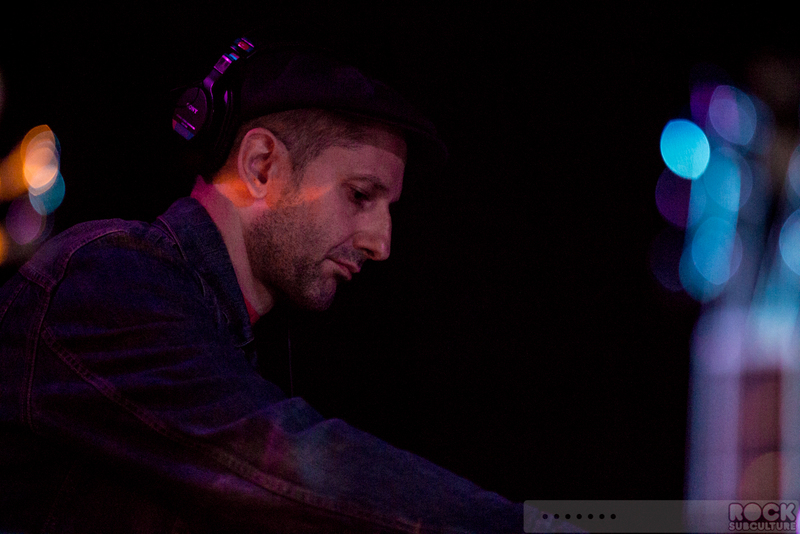 He began DJing in England in 1989, and has been a collaborator with Luscious Jackson since 1994. 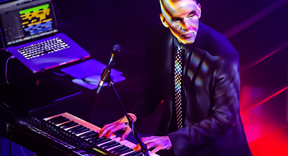 He co-produced “Fly” and “Space Diva” with Musa Bailey, credited as 25 TON, and also co-produced “Aww Turn It Up” on the latest album Magic Hour. ADW Young is set to release Dinner With a Caucasian as Leather Ghost later this year on his own 88 Records imprint. 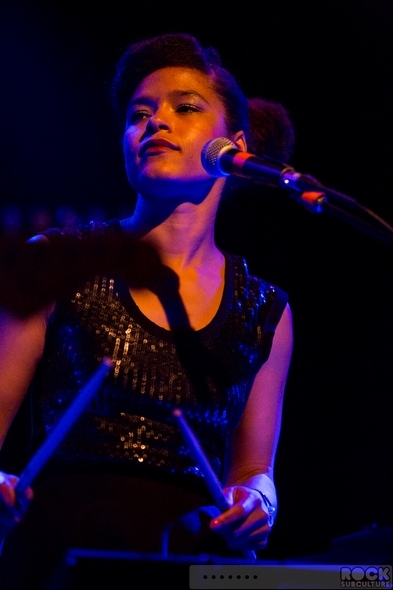 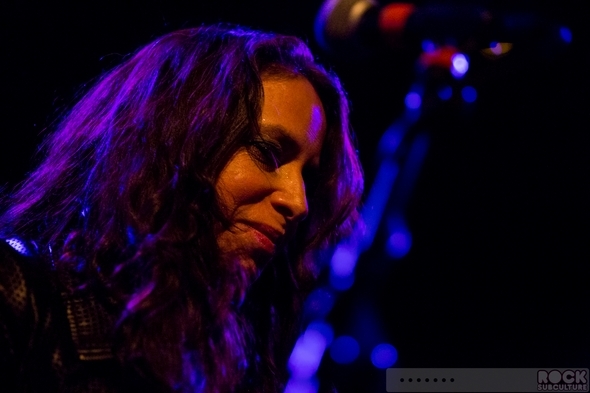 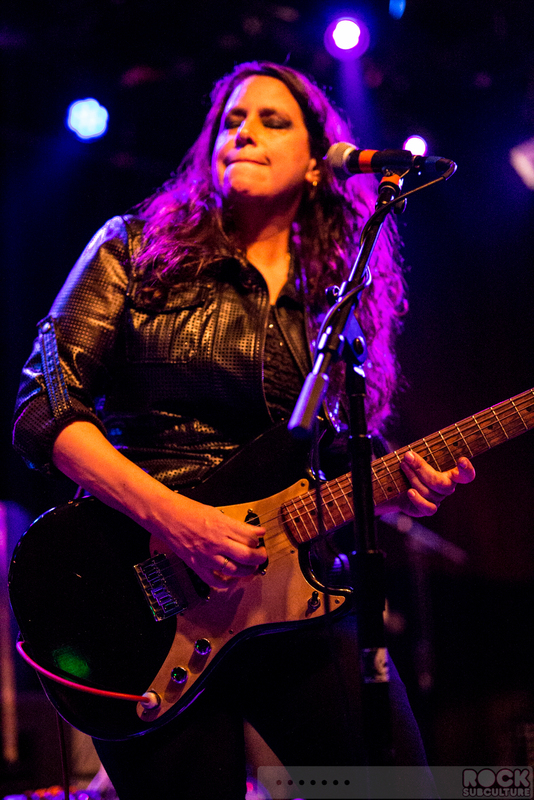 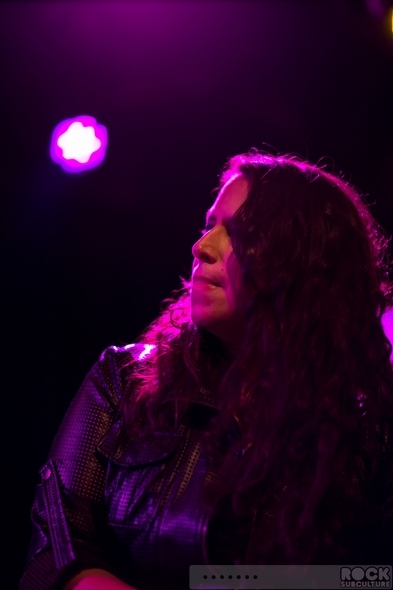 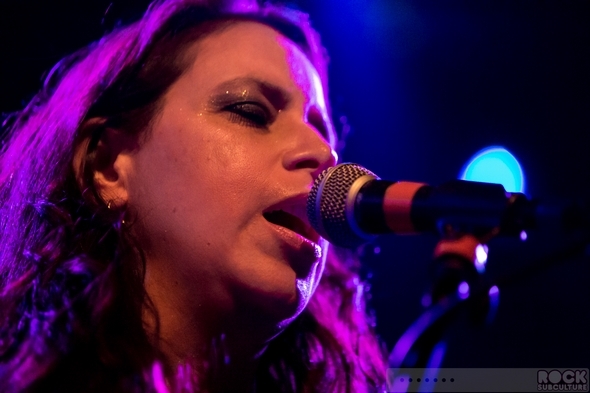 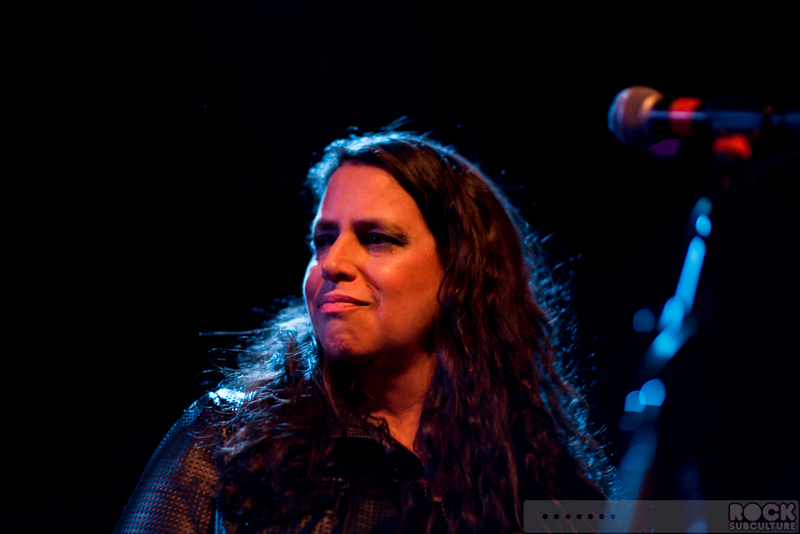 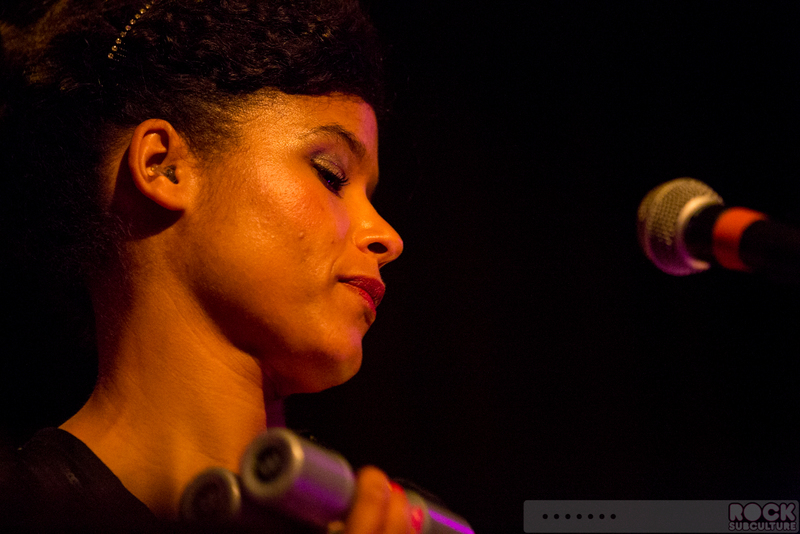 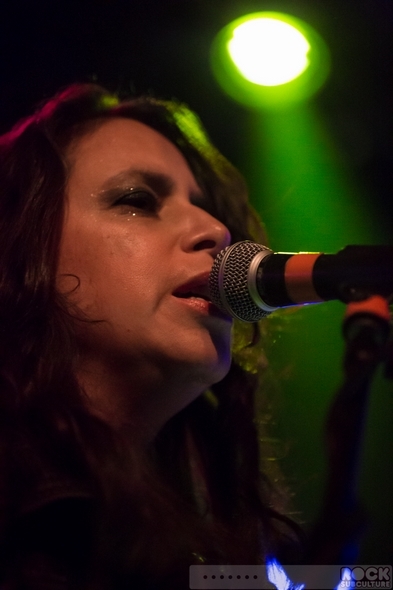 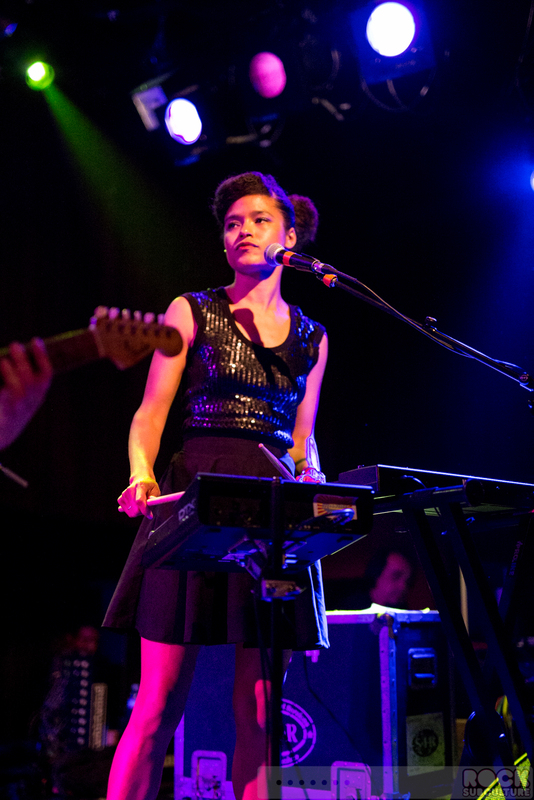 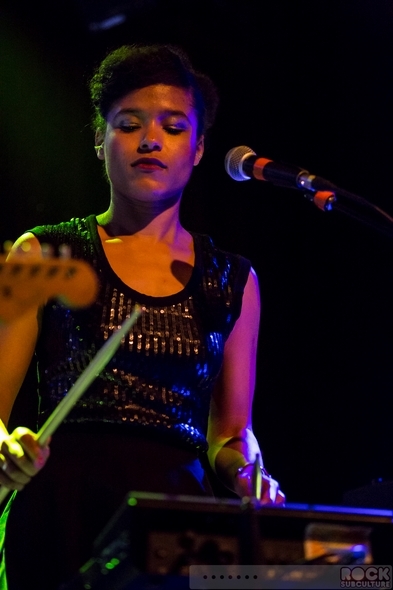 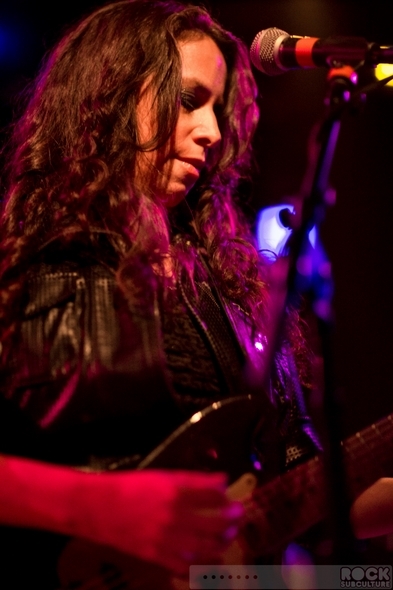 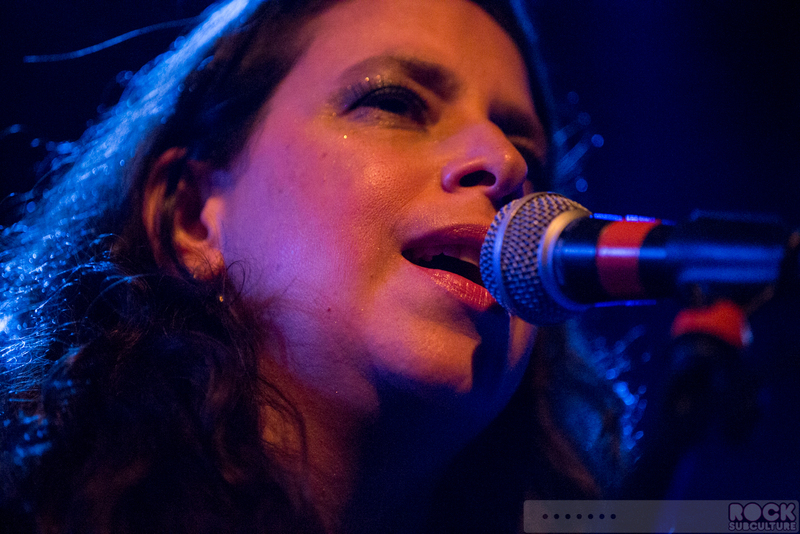 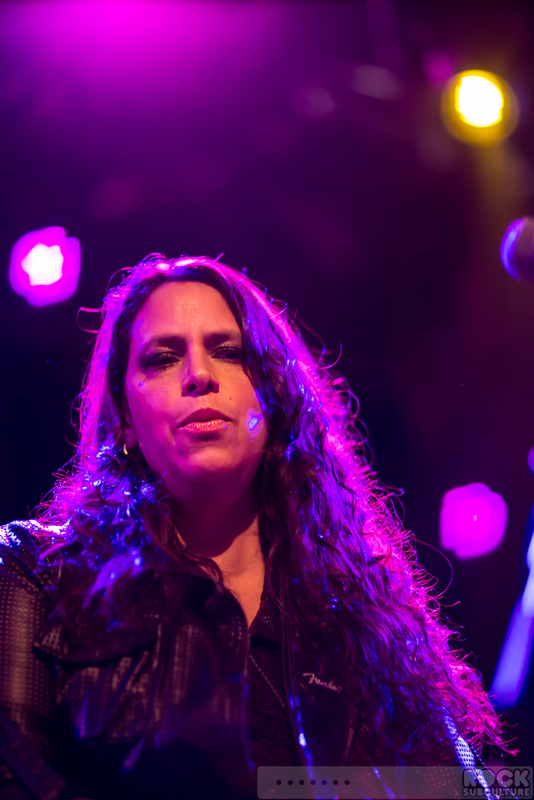 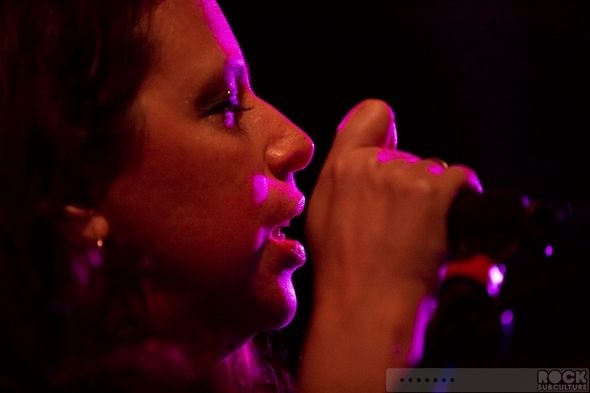 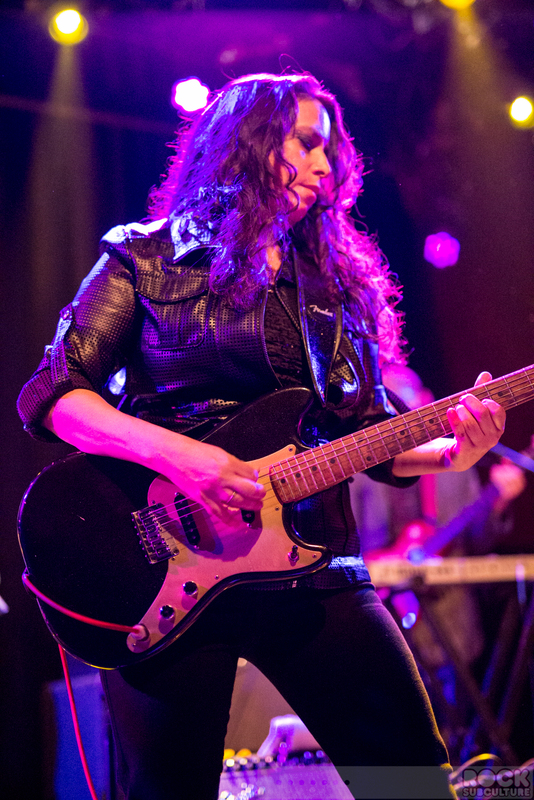 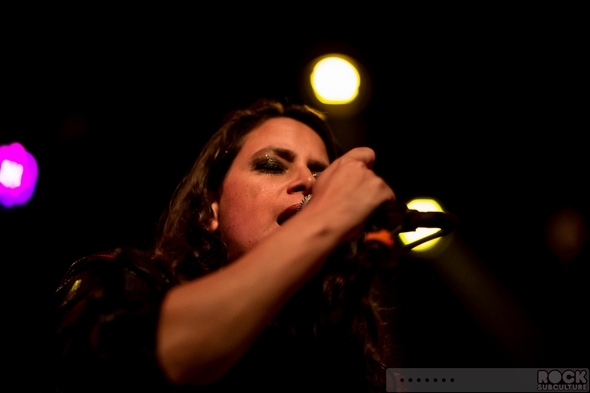 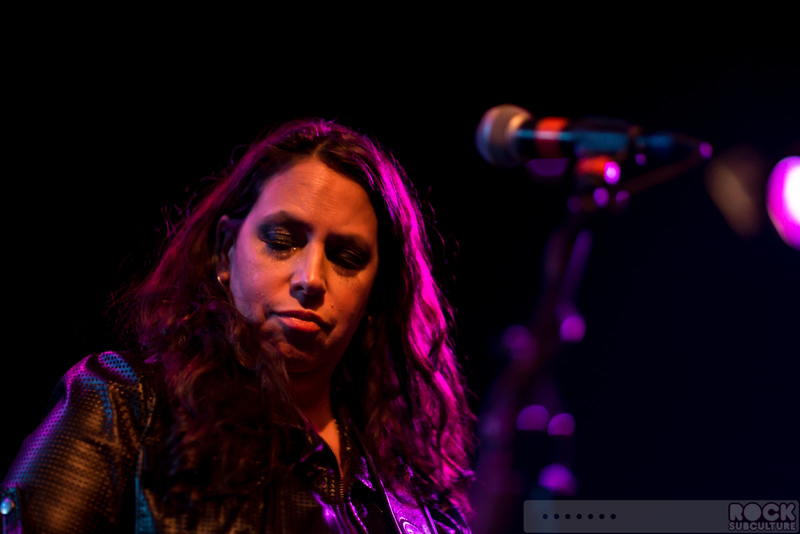 Original founding member and keyboardist Vivian Trimble is not part of this current set of live tour dates, and left the band in 1998. 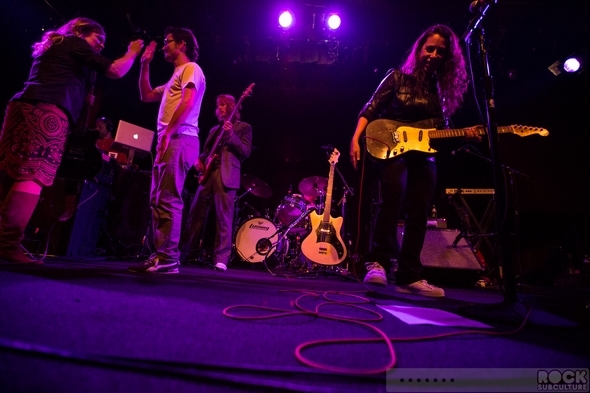 The alternative/hip hop band formed in 1991 and released material on the Beastie Boys’ Grand Royal label. 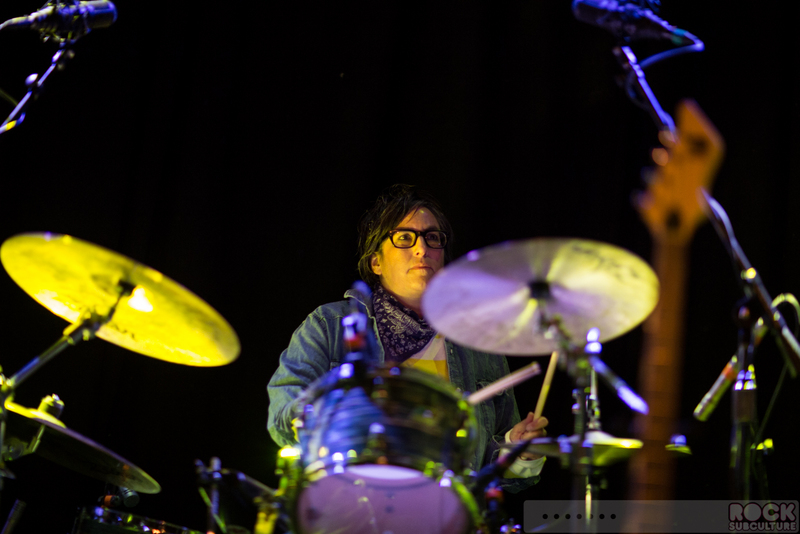 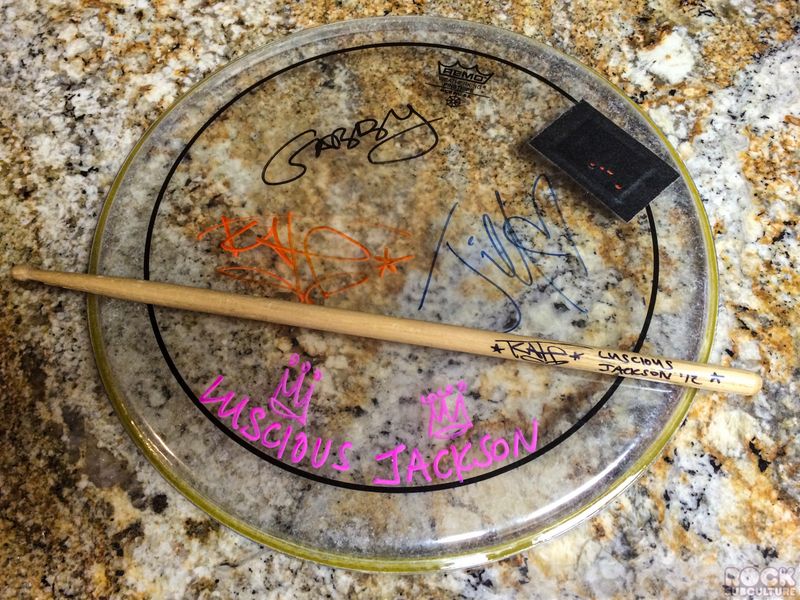 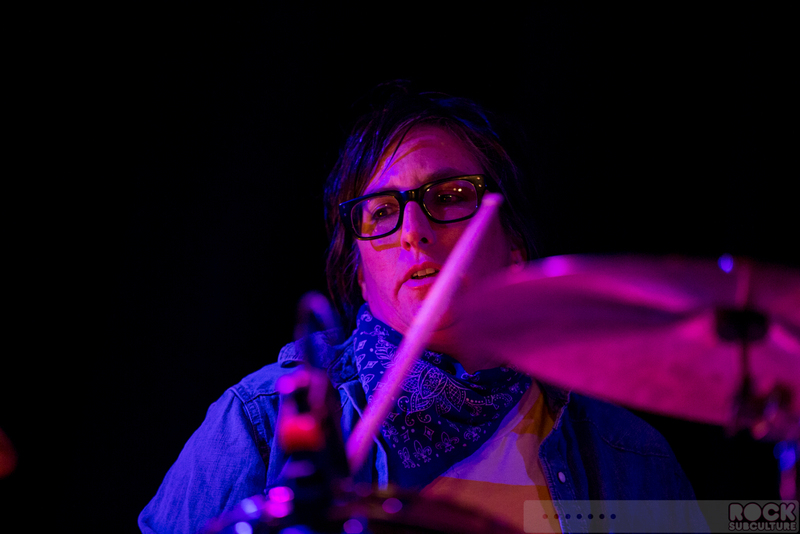 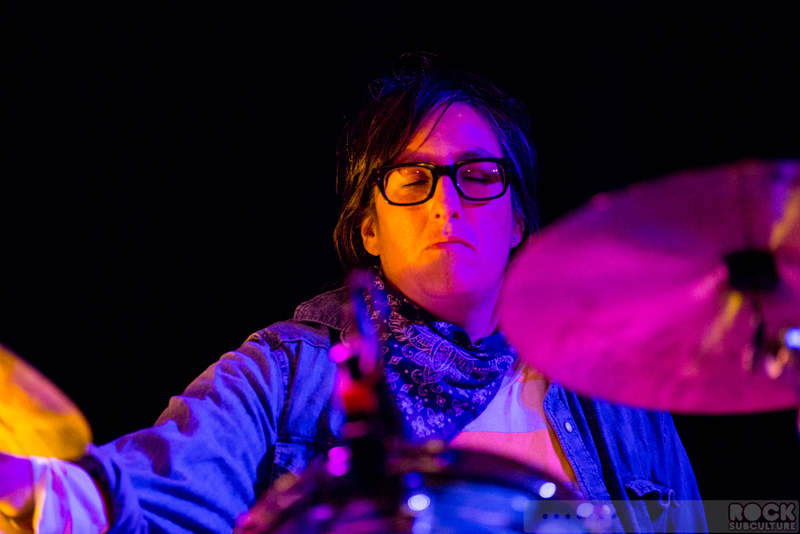 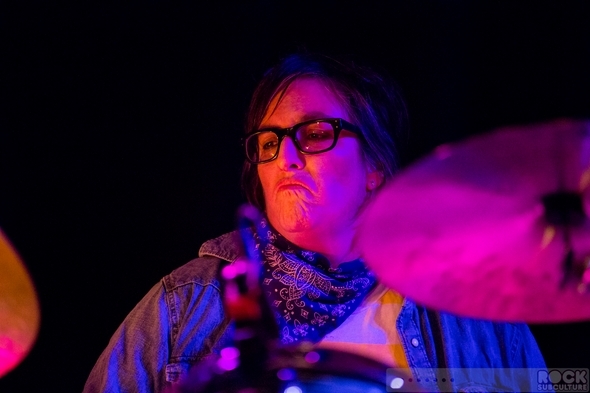 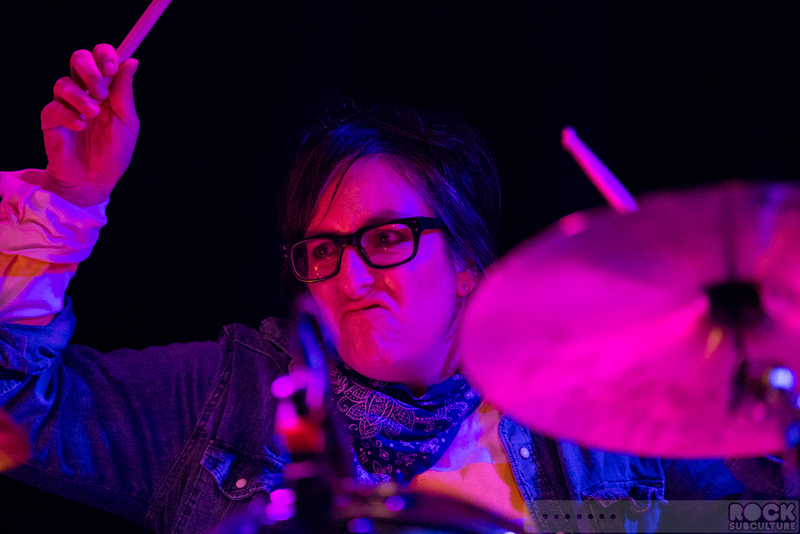 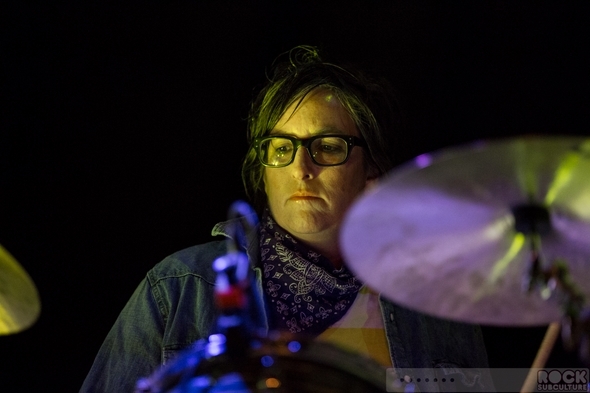 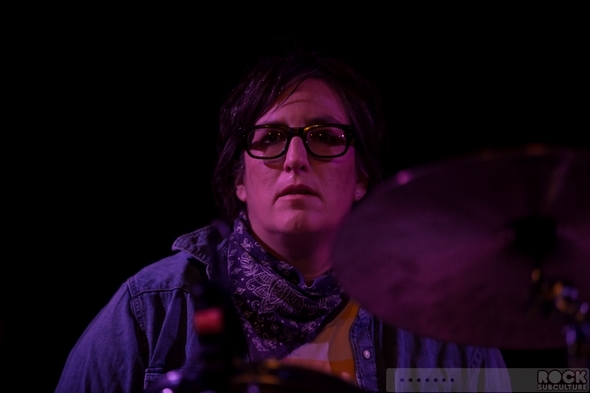 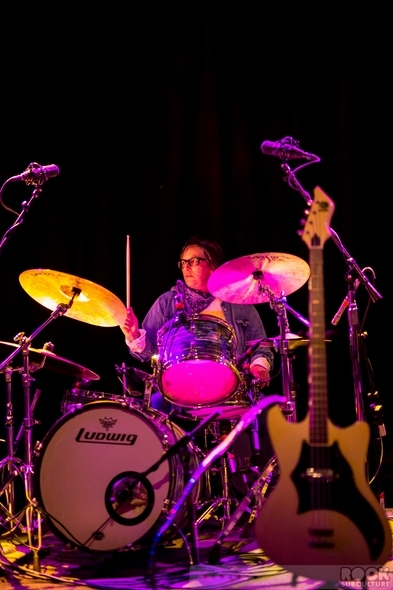 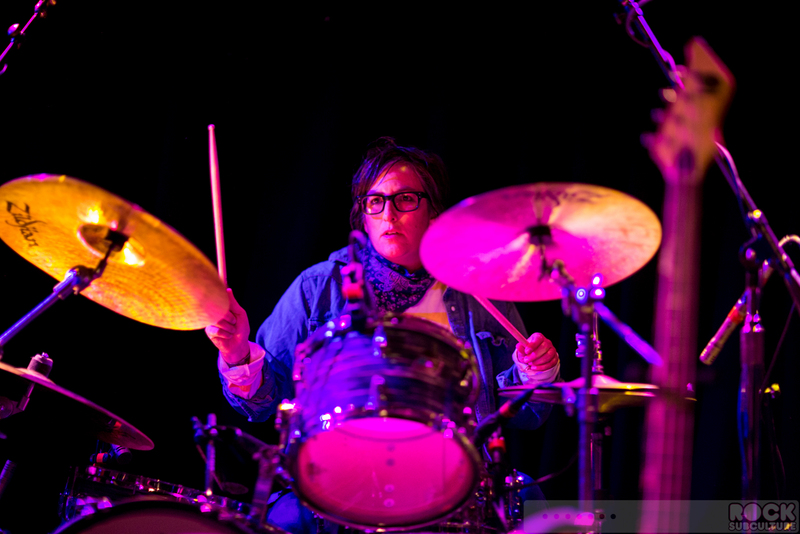 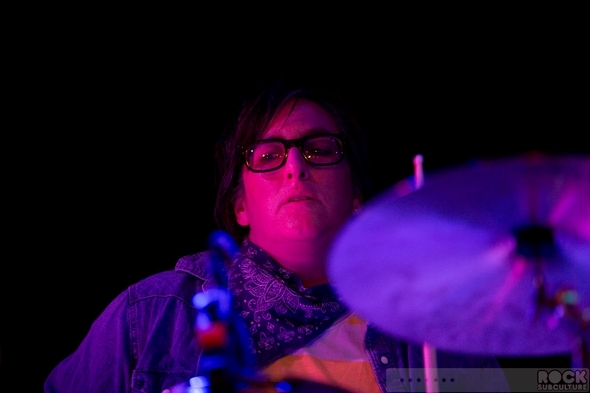 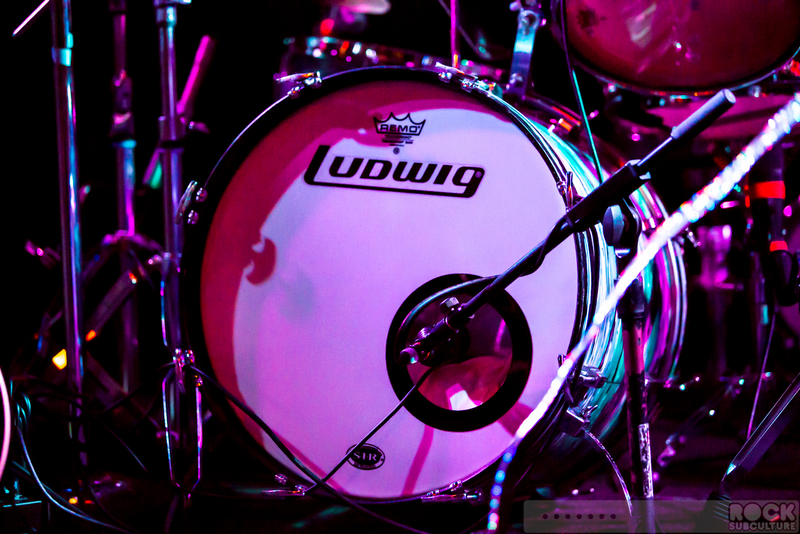 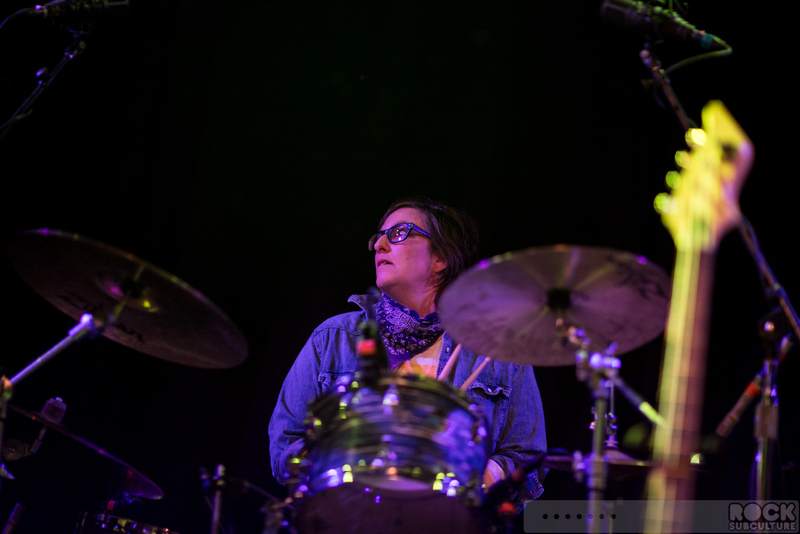 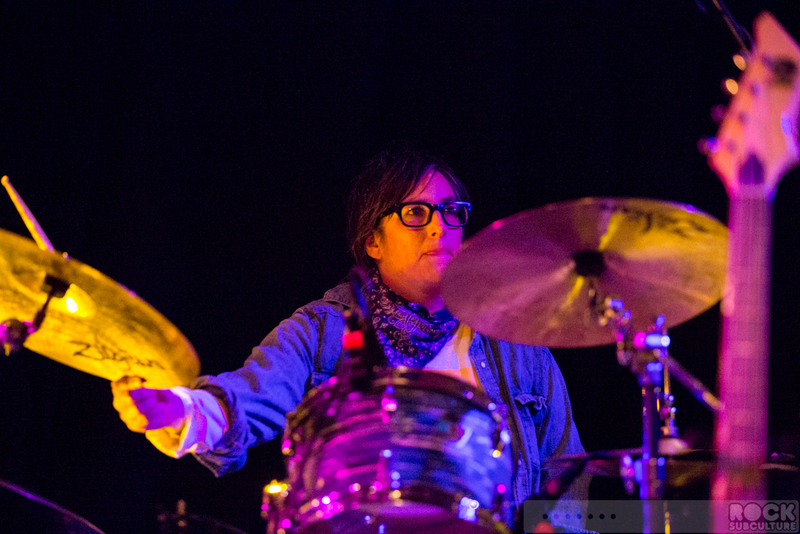 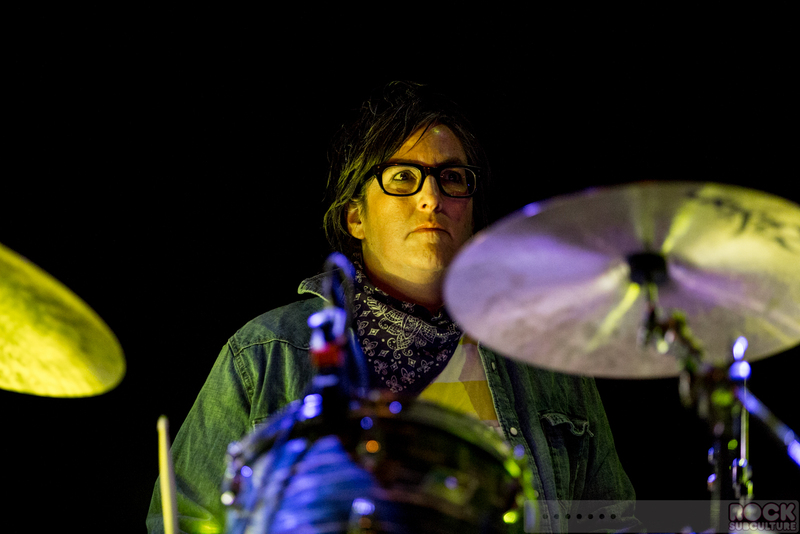 Drummer Kate Schellenbach was previously the drummer for Beastie Boys (1981-1984). 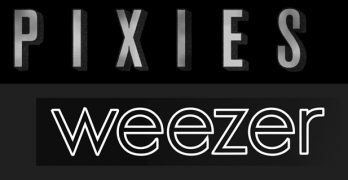 They are best known for their huge, infectious, 1996 pop hit, “Naked Eye”, which was the lead single on their second album, Fever In Fever Out. 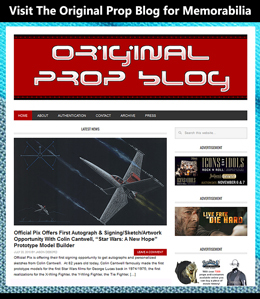 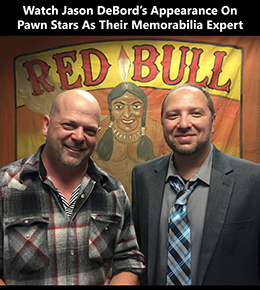 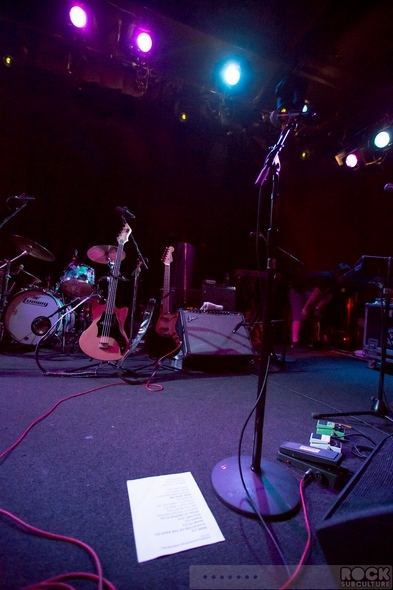 The band also had music featured in film and television, including songs in Good Will Hunting. 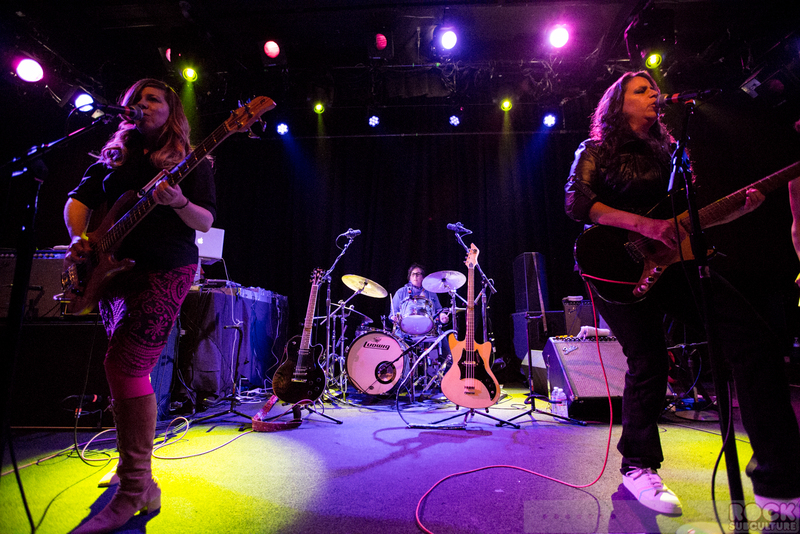 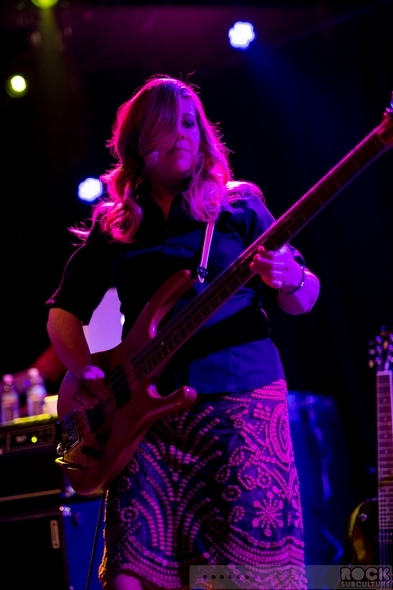 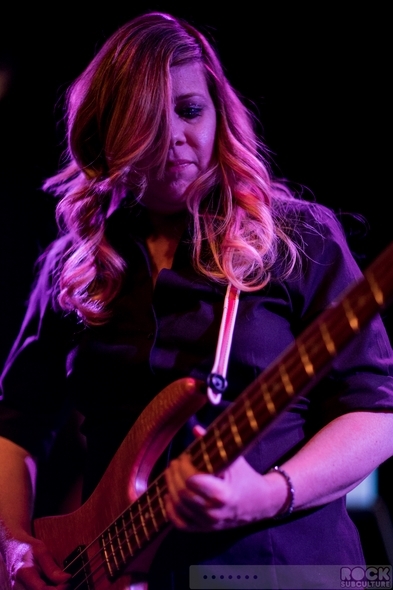 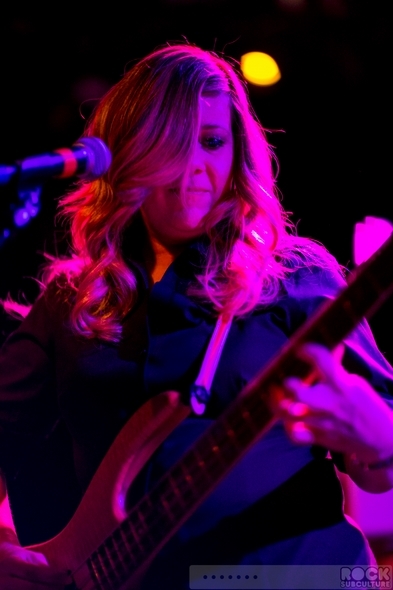 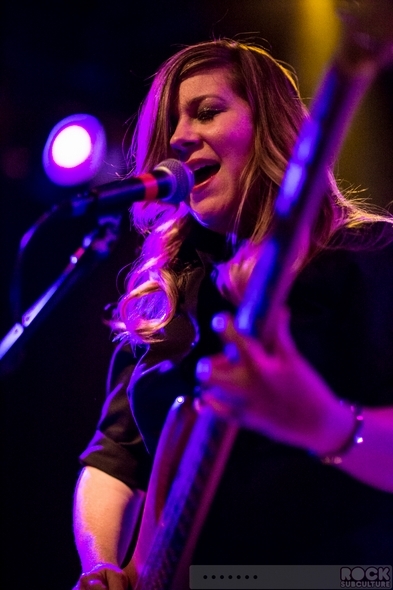 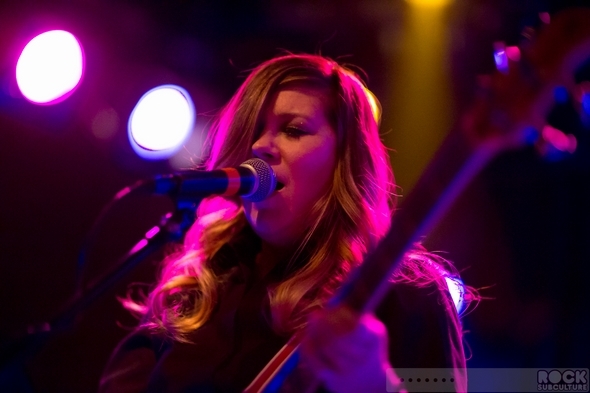 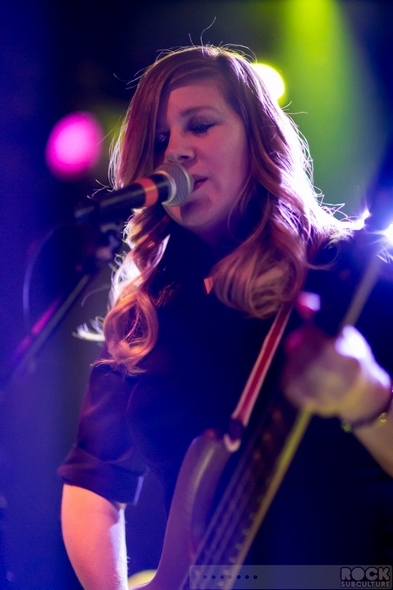 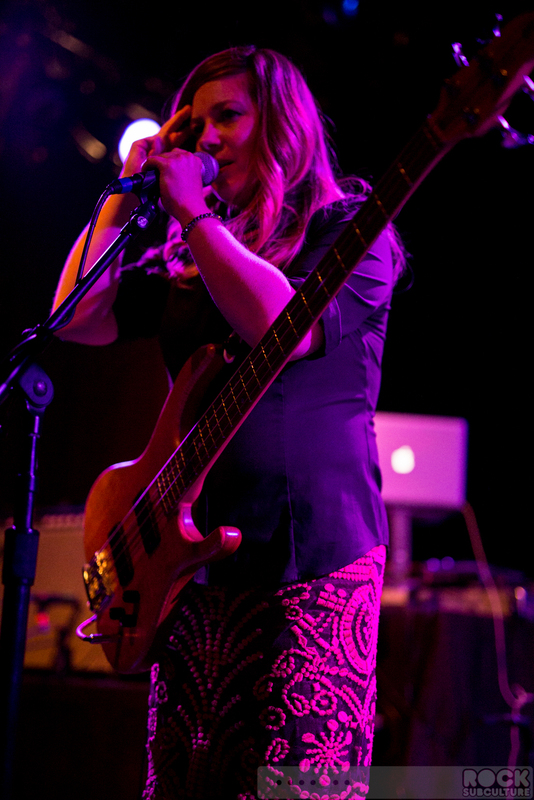 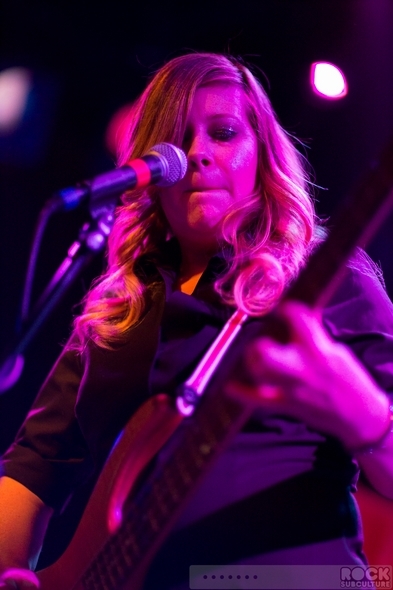 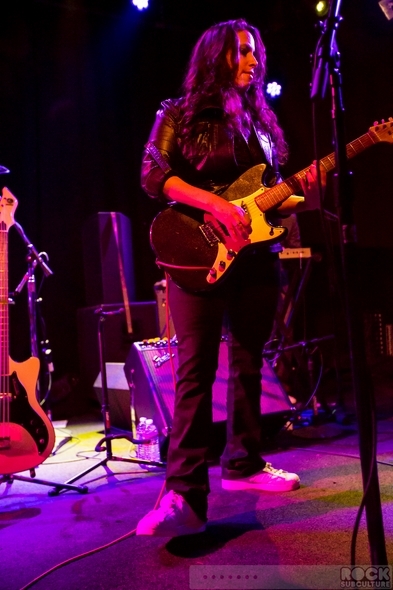 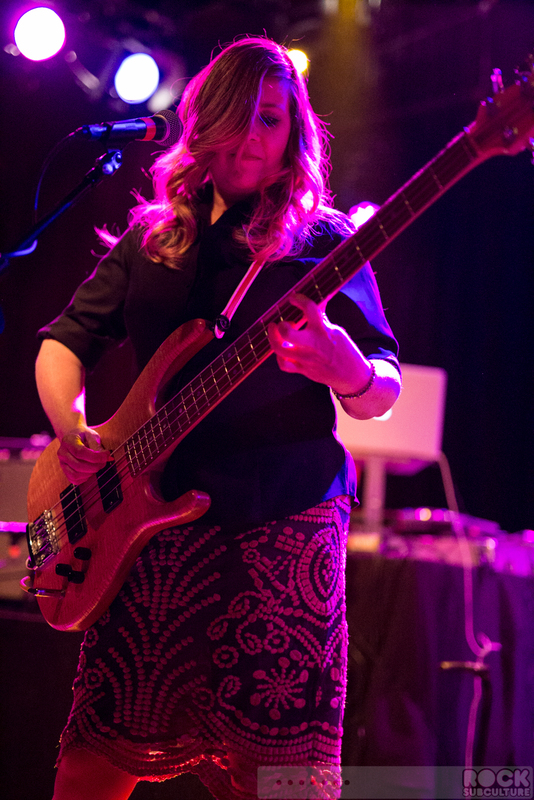 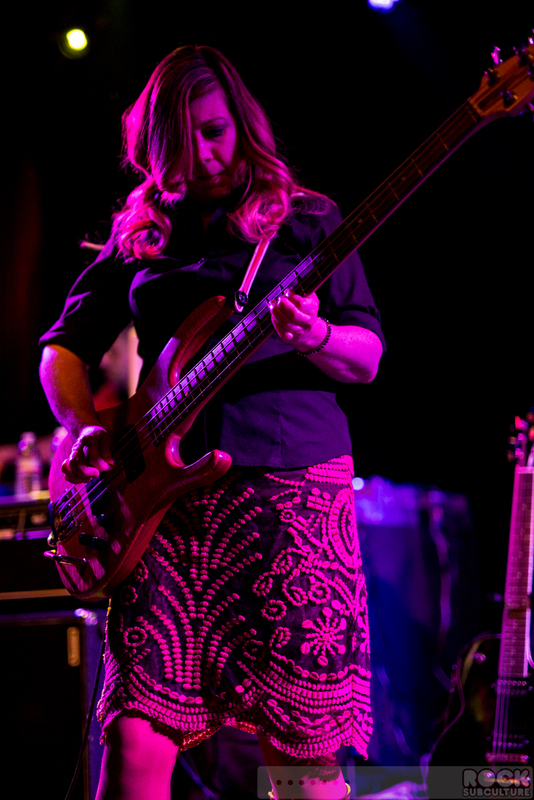 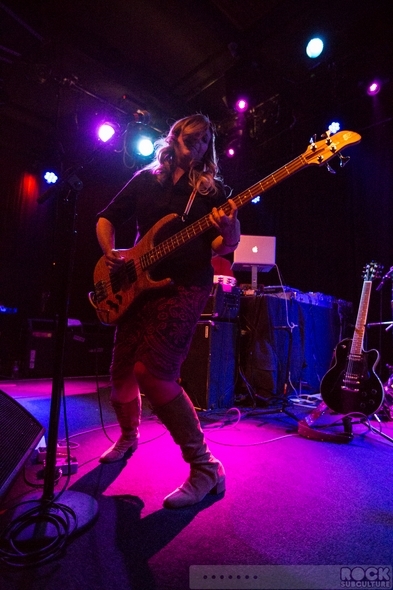 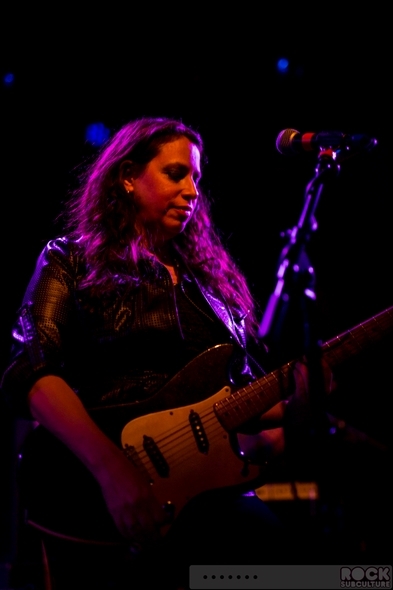 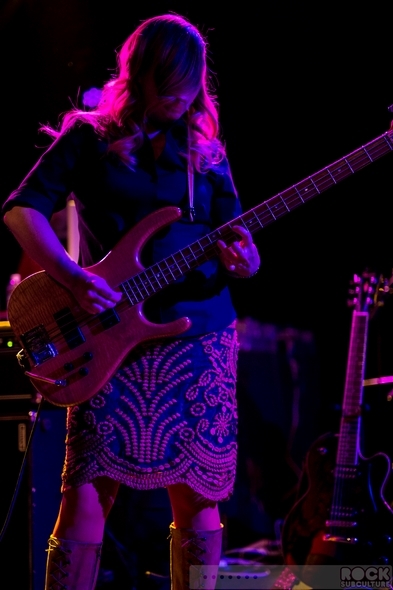 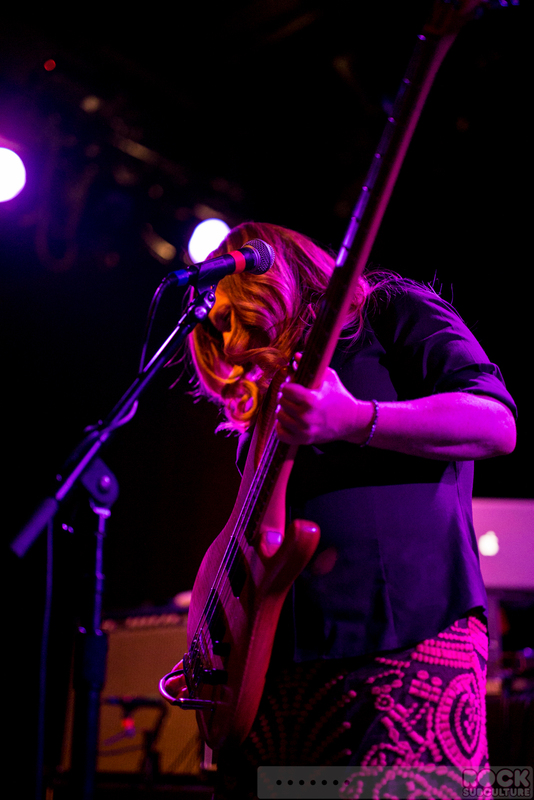 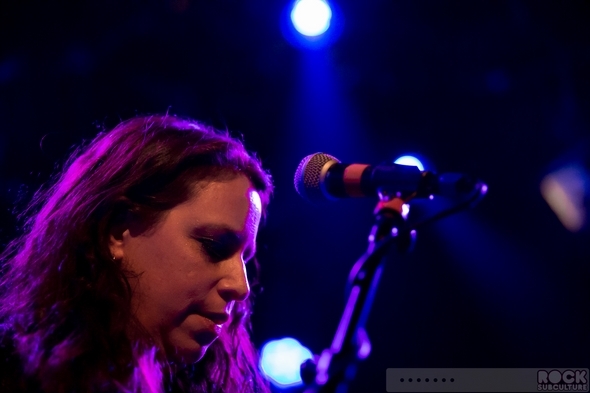 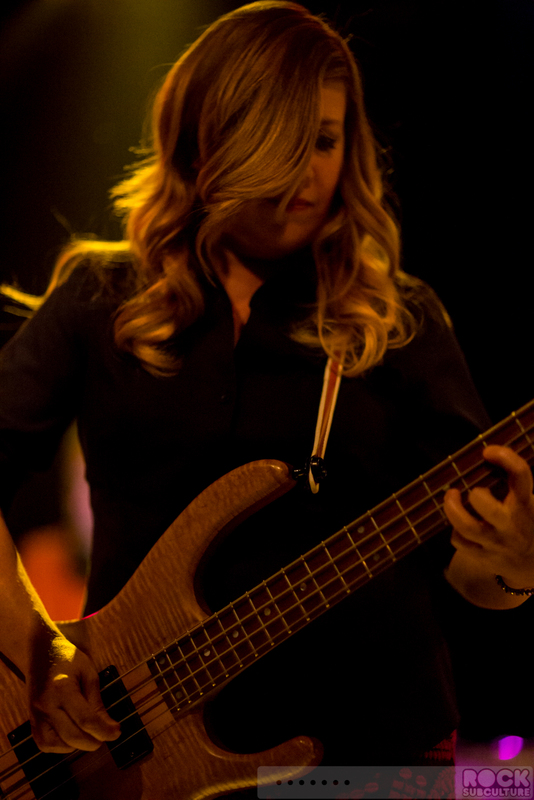 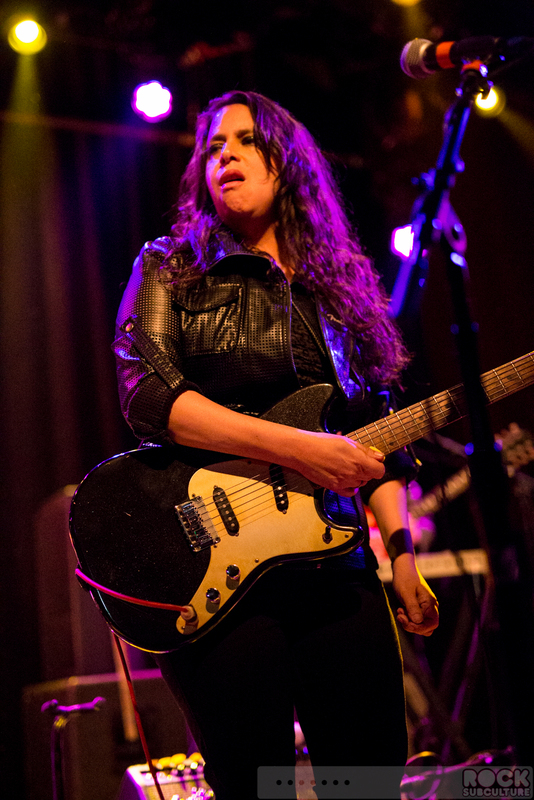 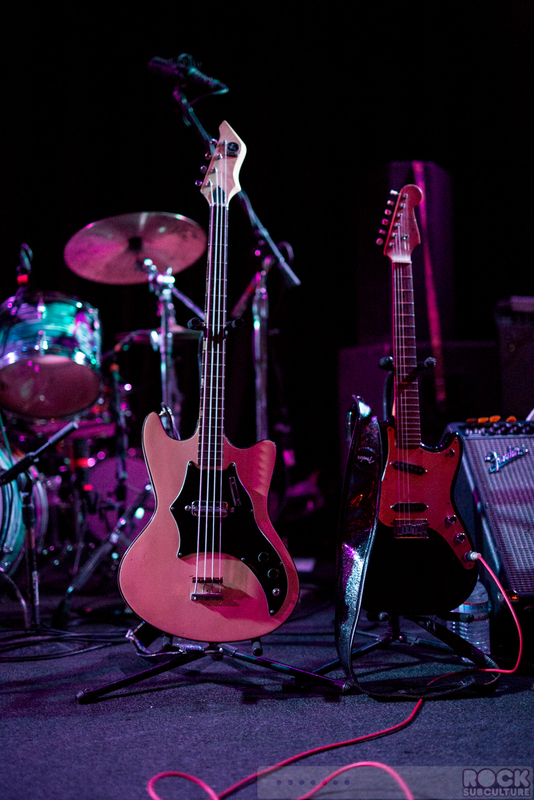 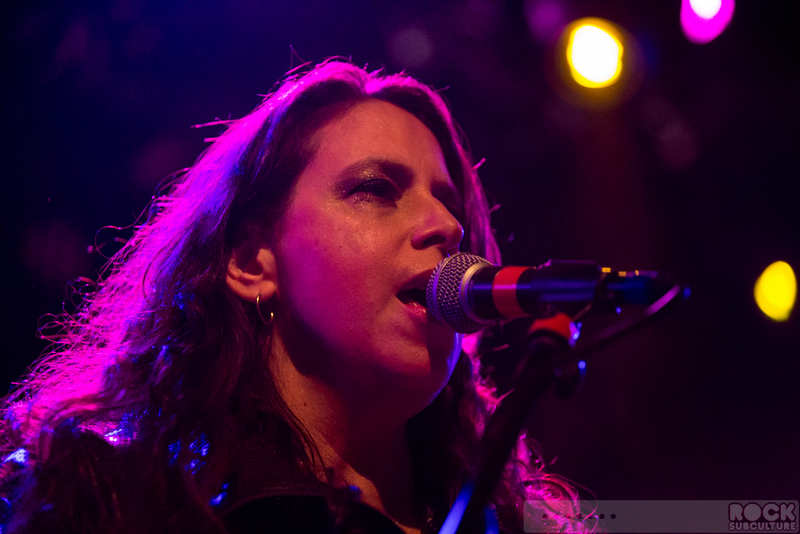 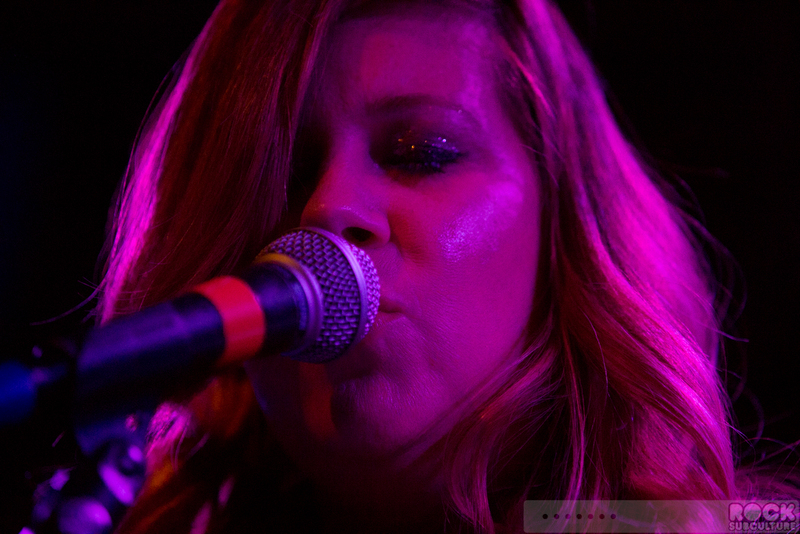 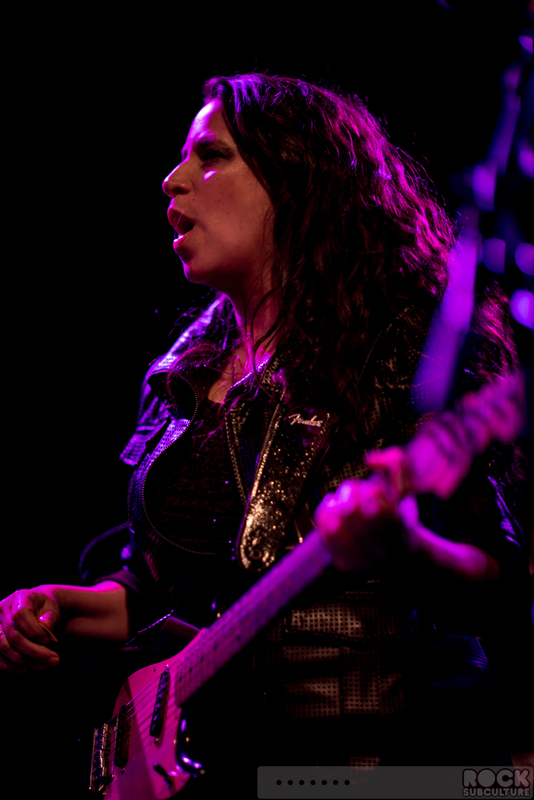 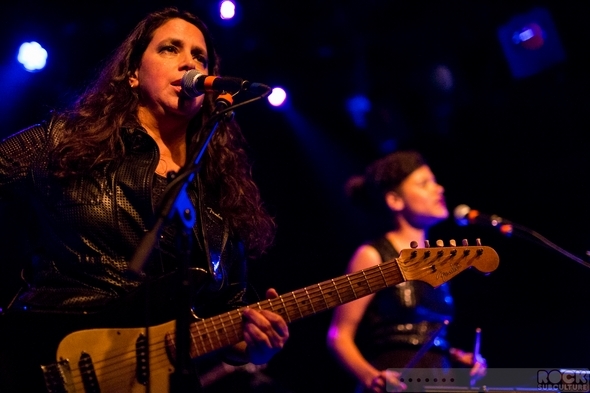 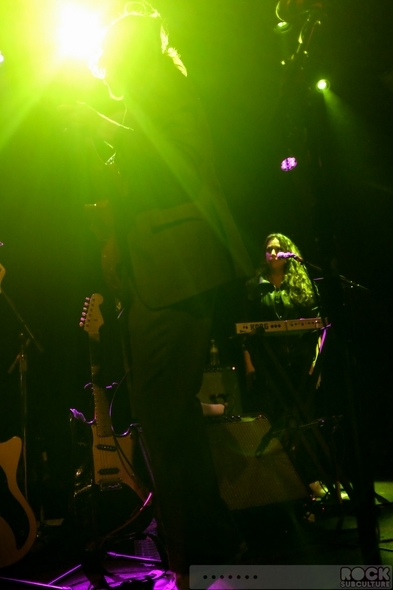 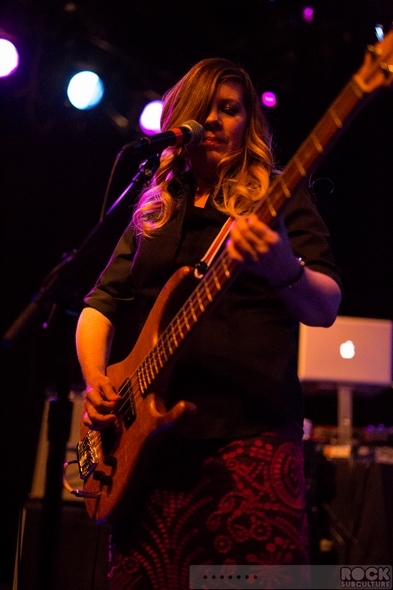 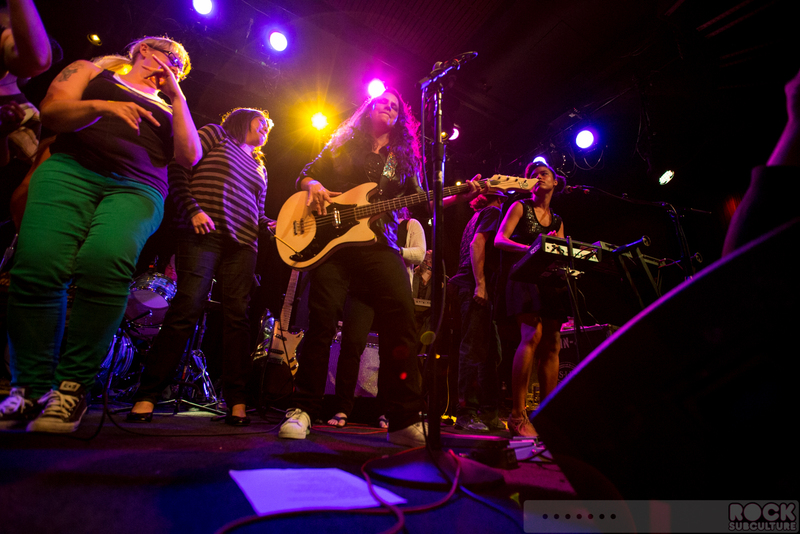 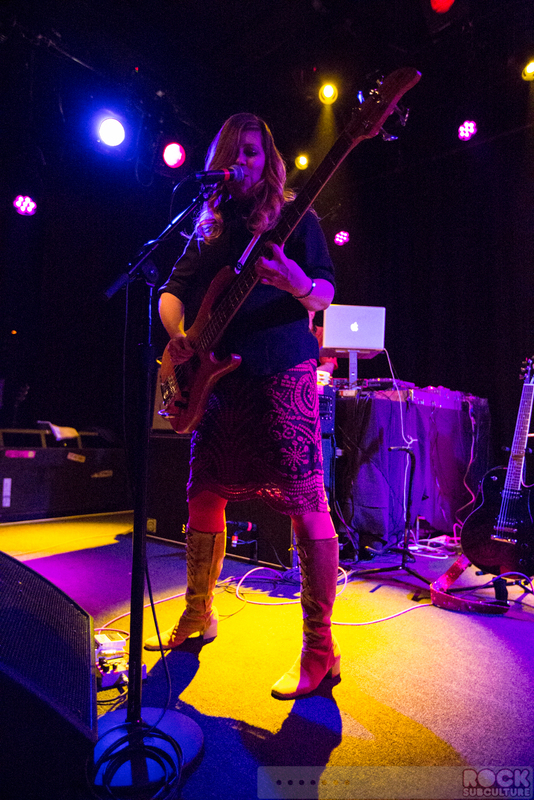 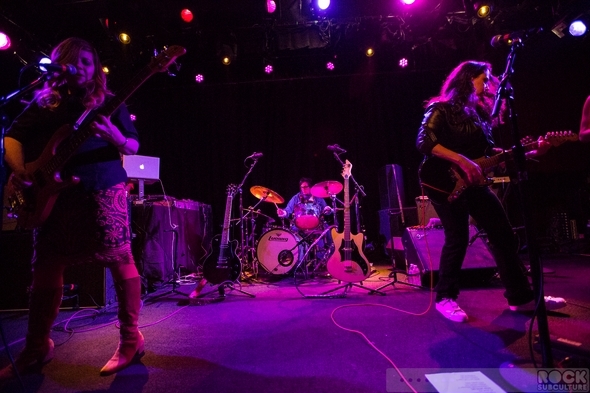 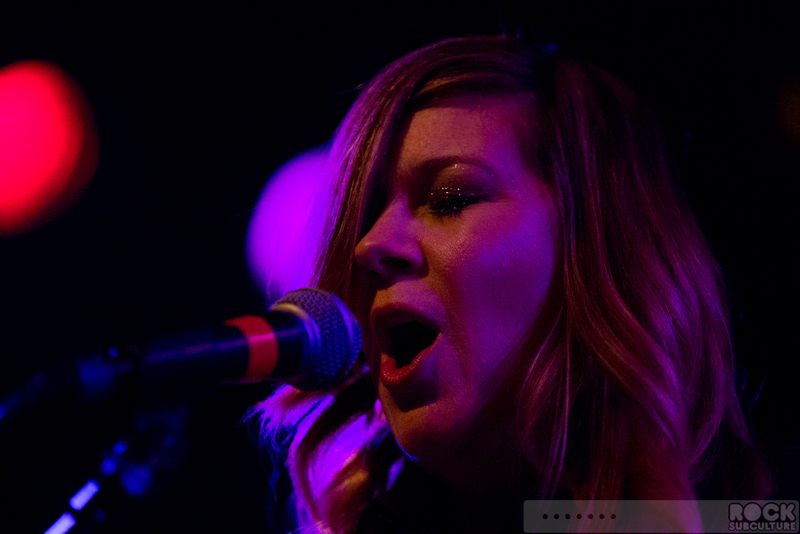 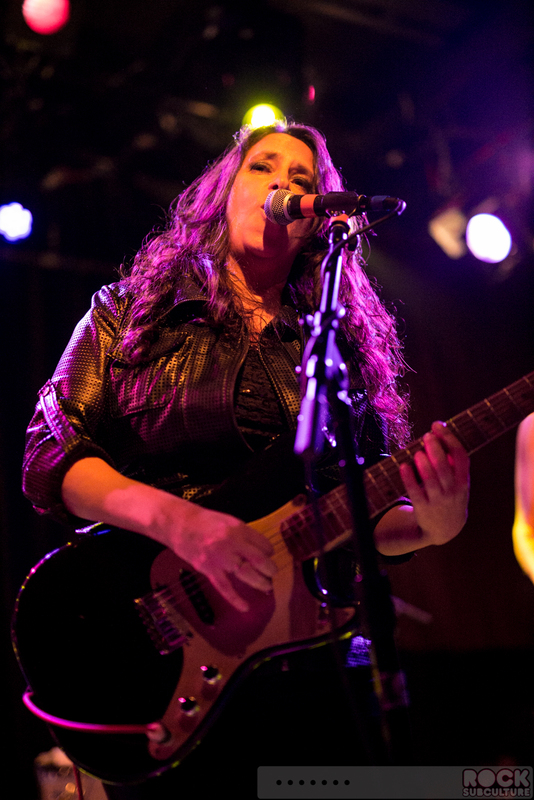 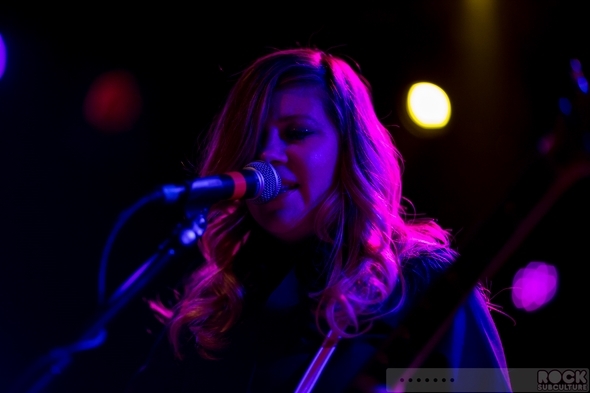 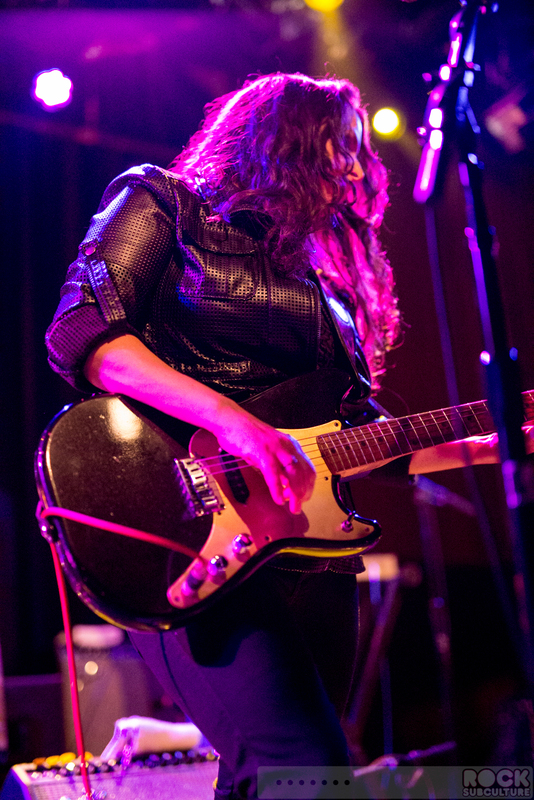 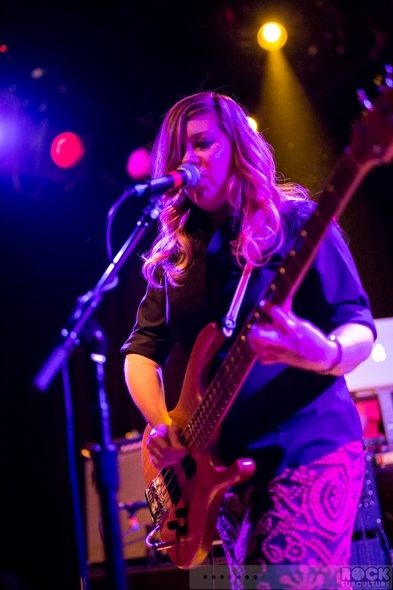 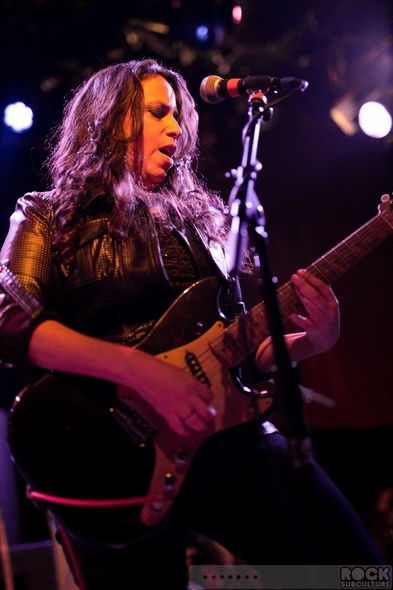 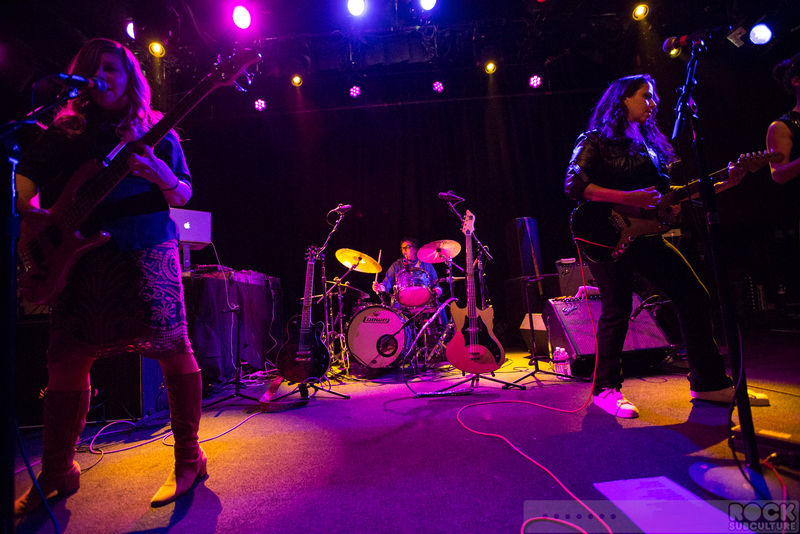 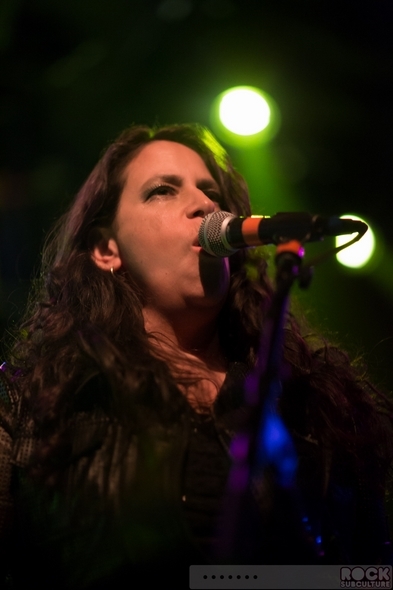 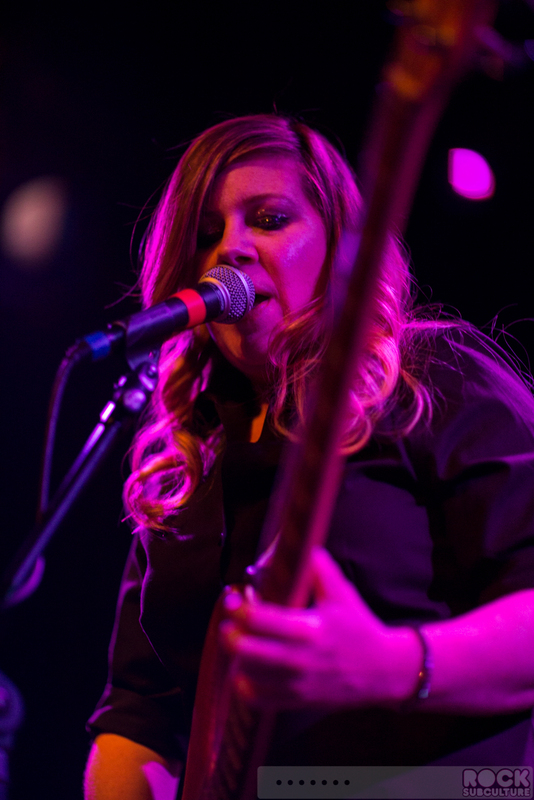 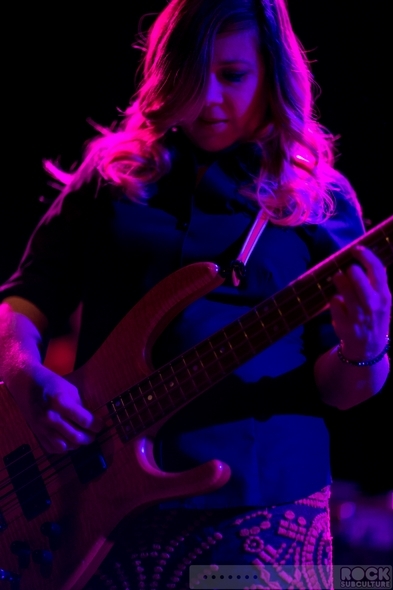 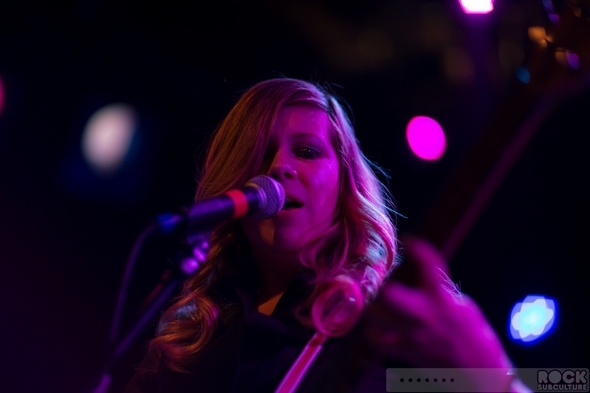 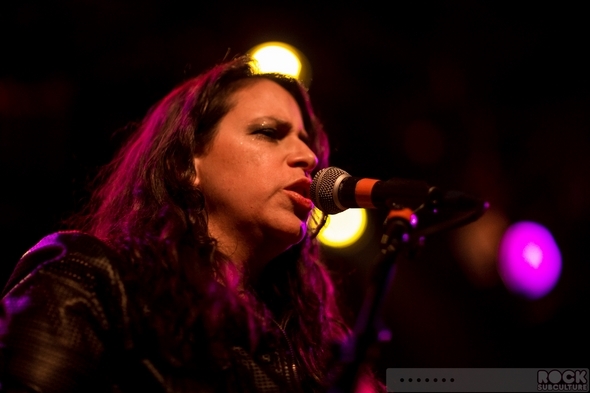 Luscious Jackson were active through 2000, releasing an EP and three studio albums, and then came back together as a trio in 2011 to begin work on Magic Hour, using PledgeMusic to help fund the new album. I never had a chance to see the band in the 90s, so was excited about the show last night. 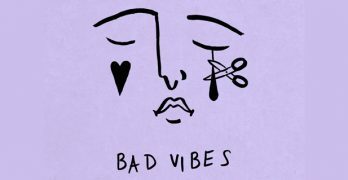 All of their great sound translated superbly to the live show last night, and the song choice highlighted their versatility and range of the kind of music that they created. 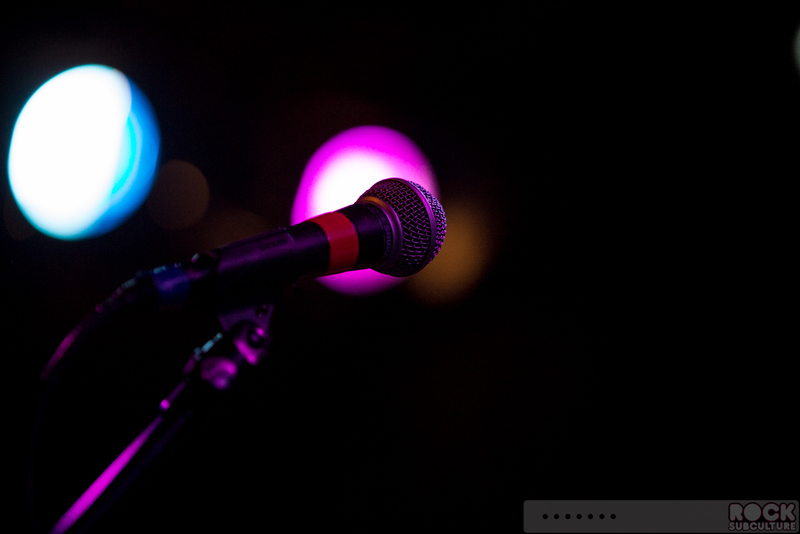 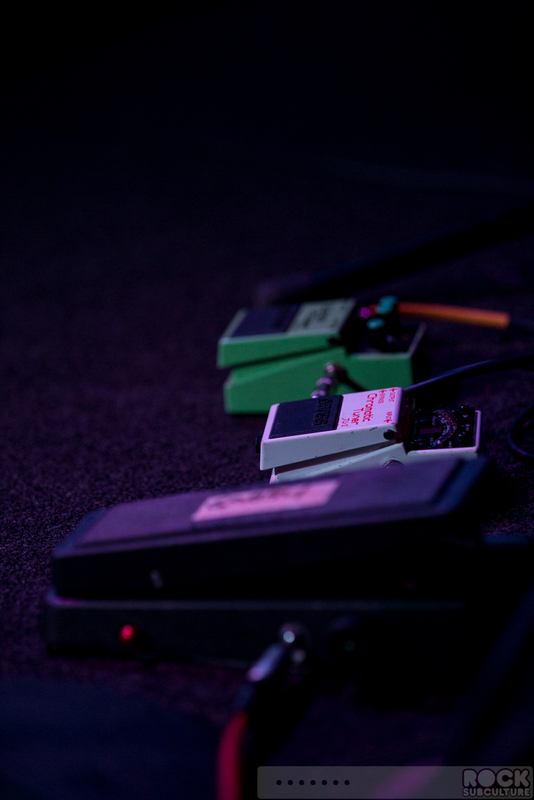 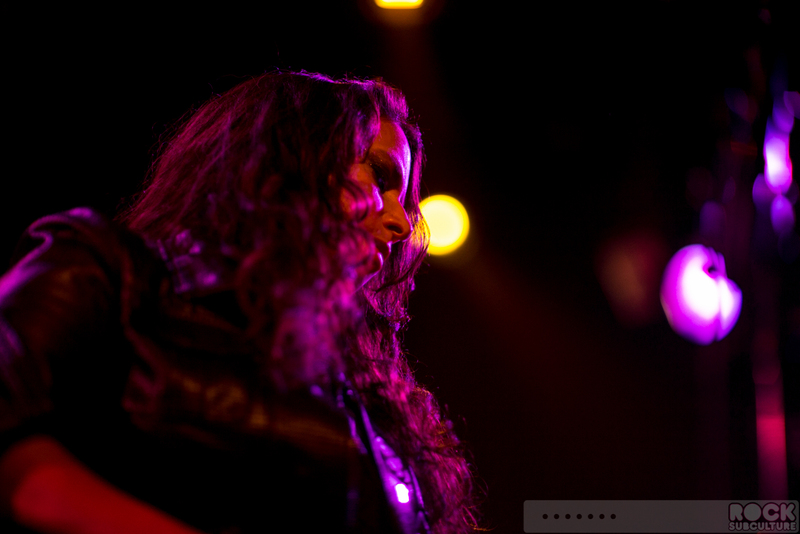 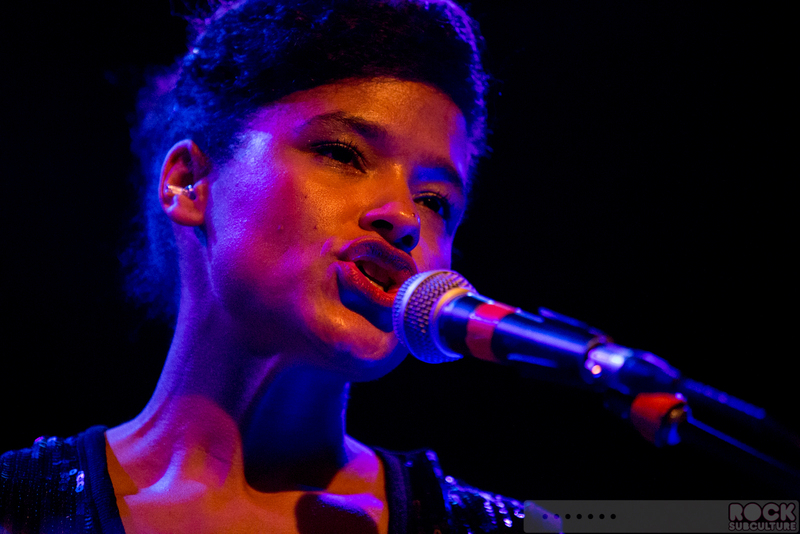 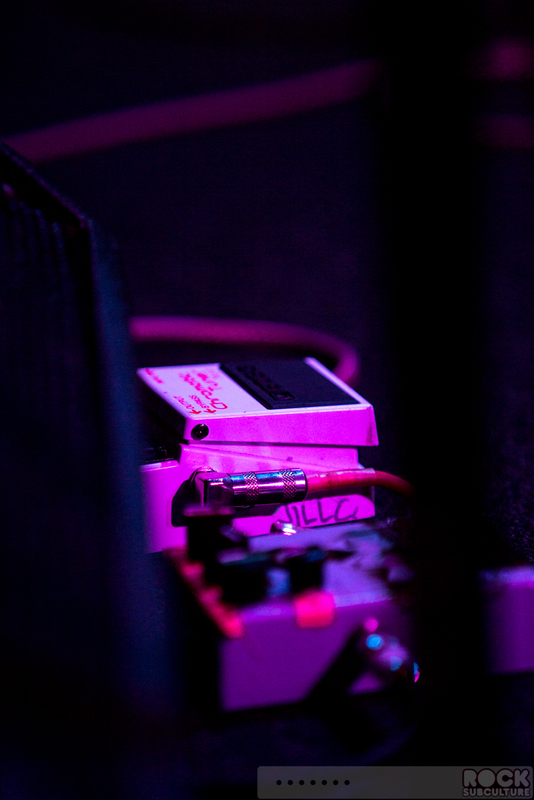 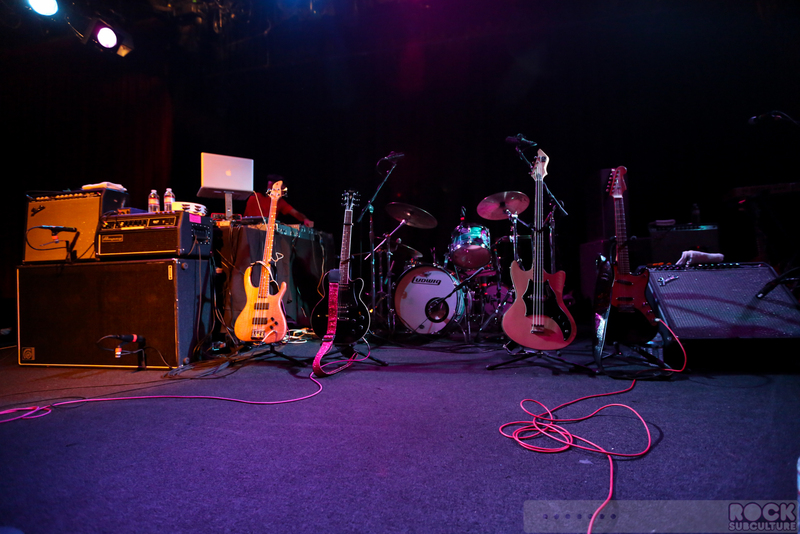 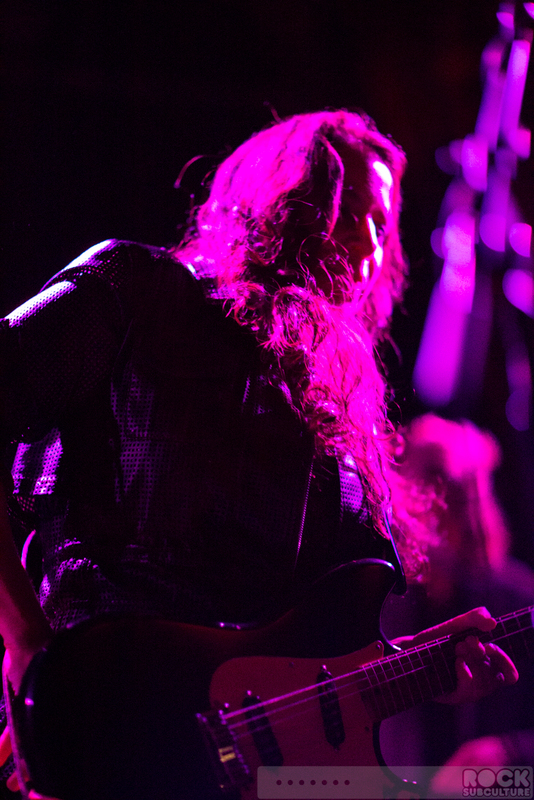 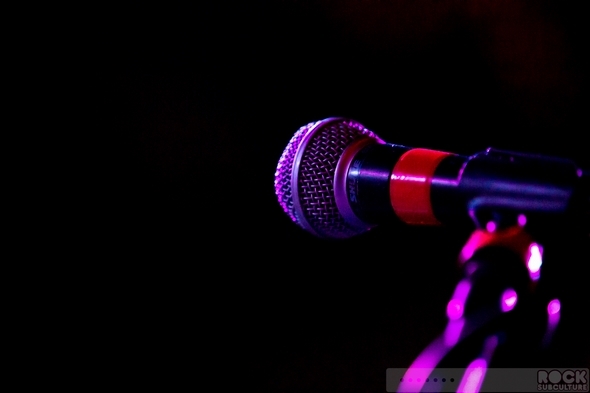 As mentioned, it was a very intimate sort of atmosphere, with an immediate bond between the band and the audience. 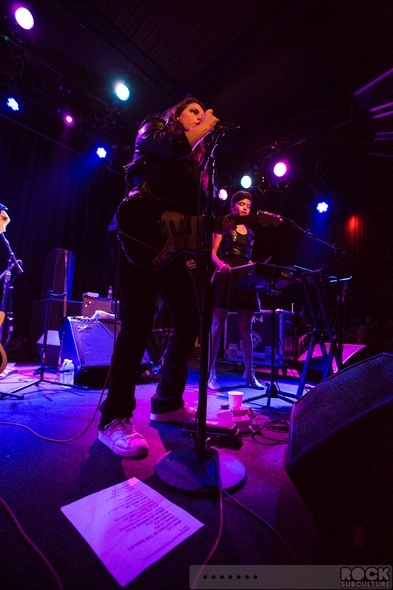 At one point, Jill started chatting with someone deep into the audience – Neil – who she said she knew since childhood, and briefly reminisced about seeing the Ramones at some hotel in San Francisco. 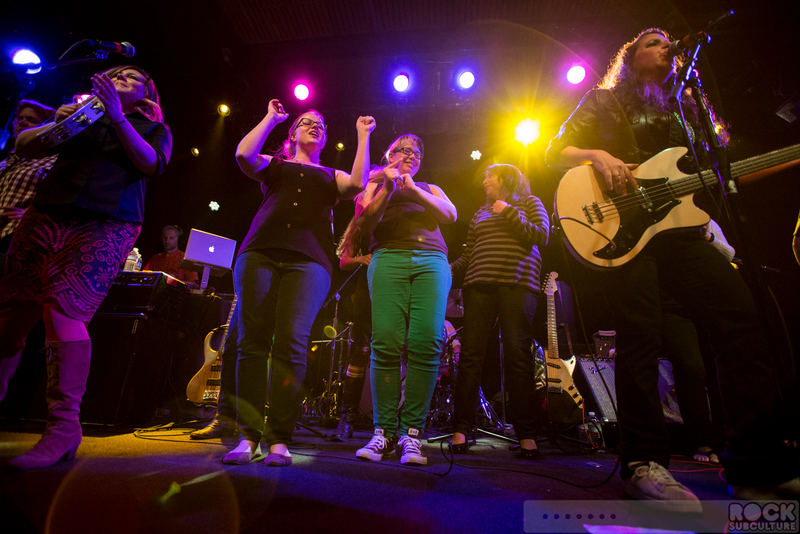 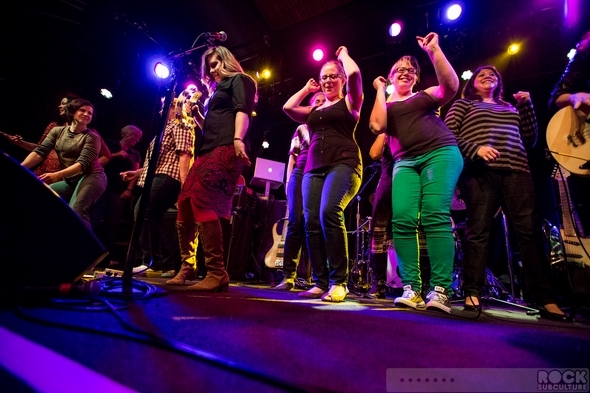 In addition to giving the minority group in the audience shake their booties halfway through the show, the group invited some of the ladies onto the stage for “City Song” to close out the main set. 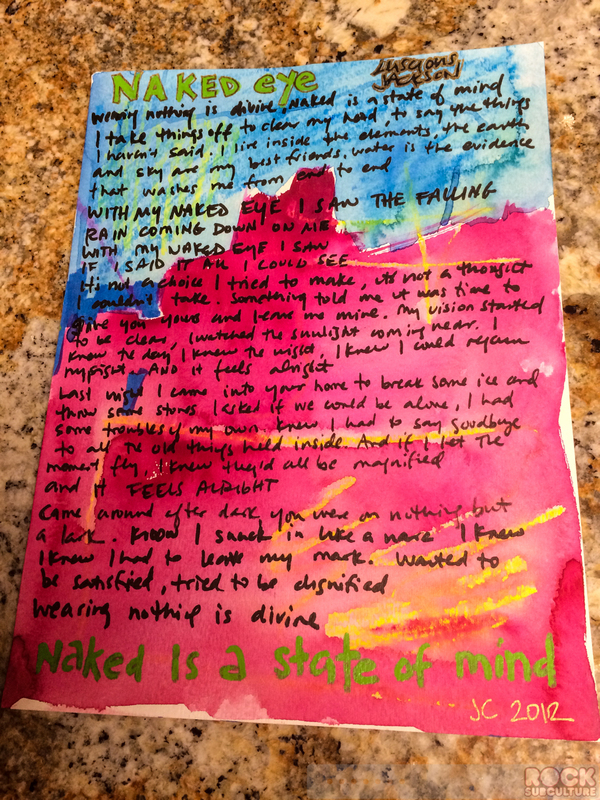 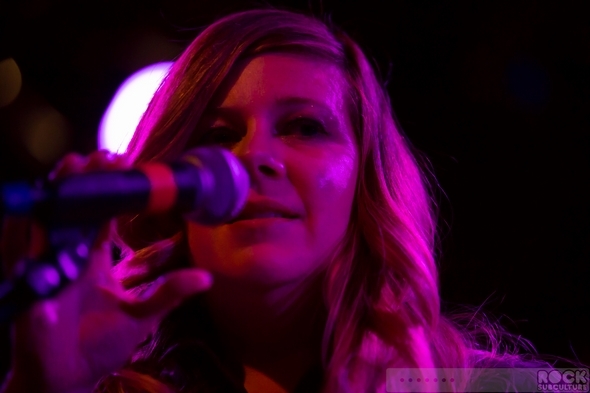 Funny enough, one of the fans said she did the same at Lollapalooza around two decades ago. All in all, it was a fun night and great to see the band active again, as they really do offer something unique to the music industry. 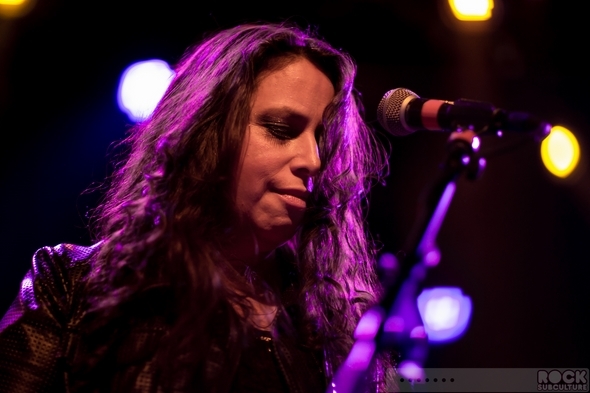 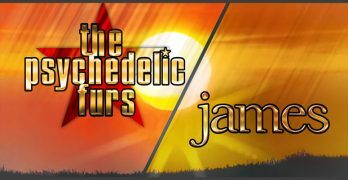 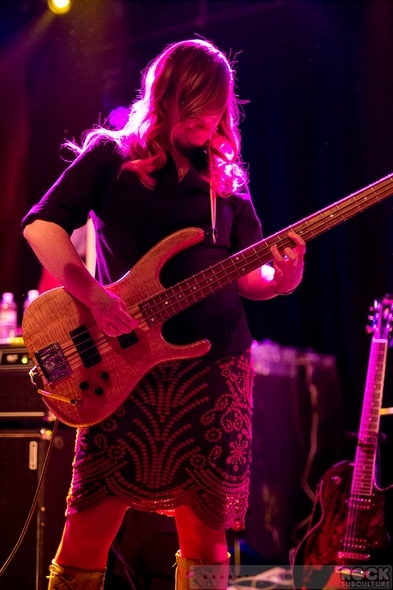 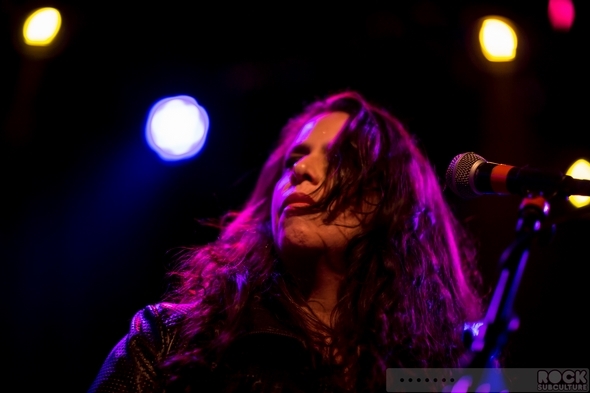 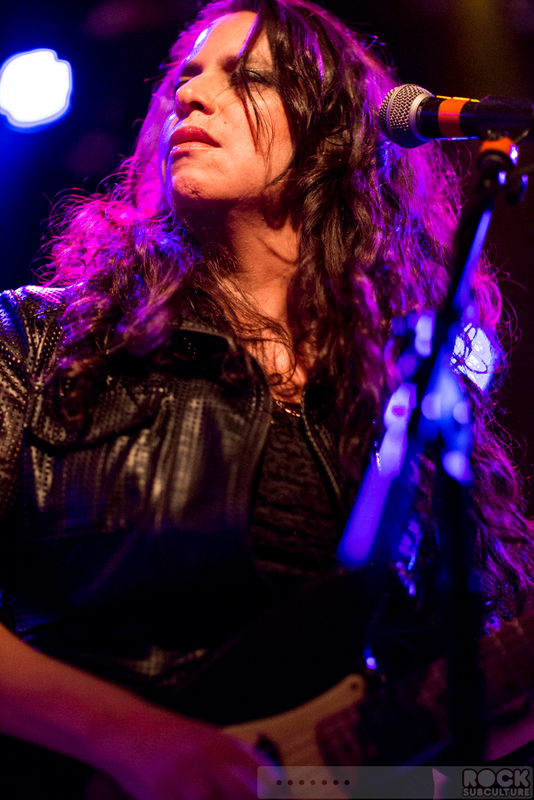 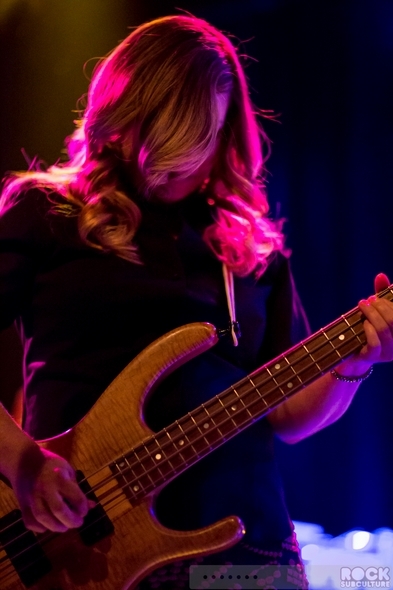 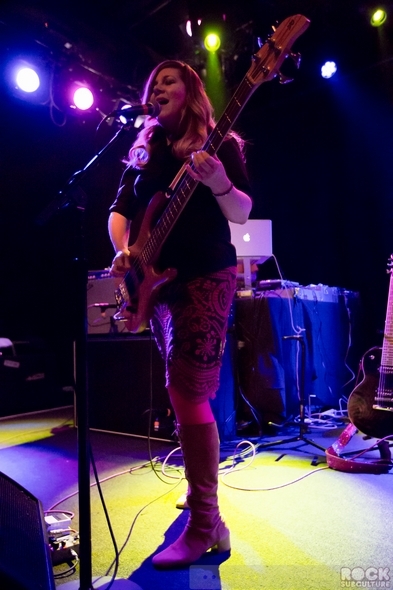 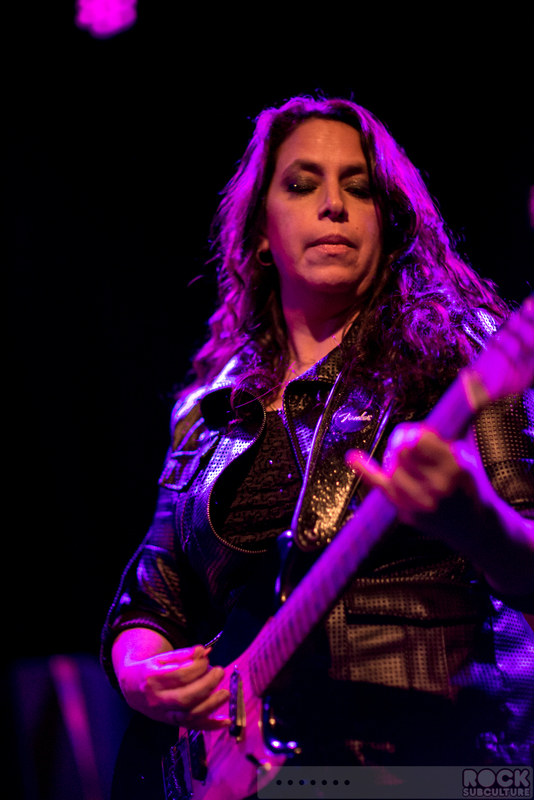 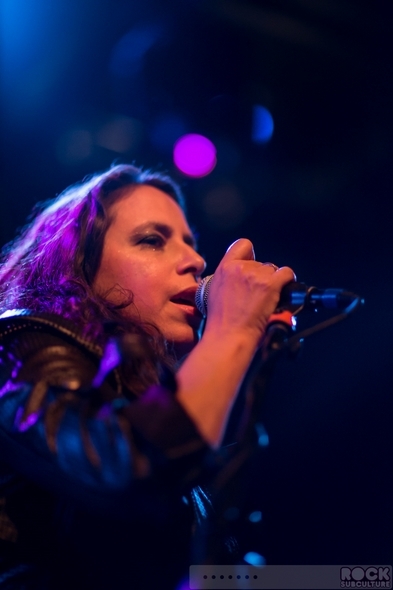 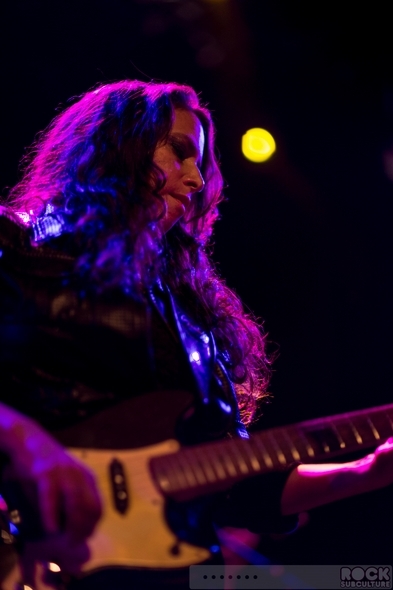 Closing out, Jill mentioned their desire to continue to innovate, building on some of the ideas that were part of the PledgeMusic efforts, and said that they are planning some special events, and maybe one in San Francisco, and suggested fans write to them via their official webpage.